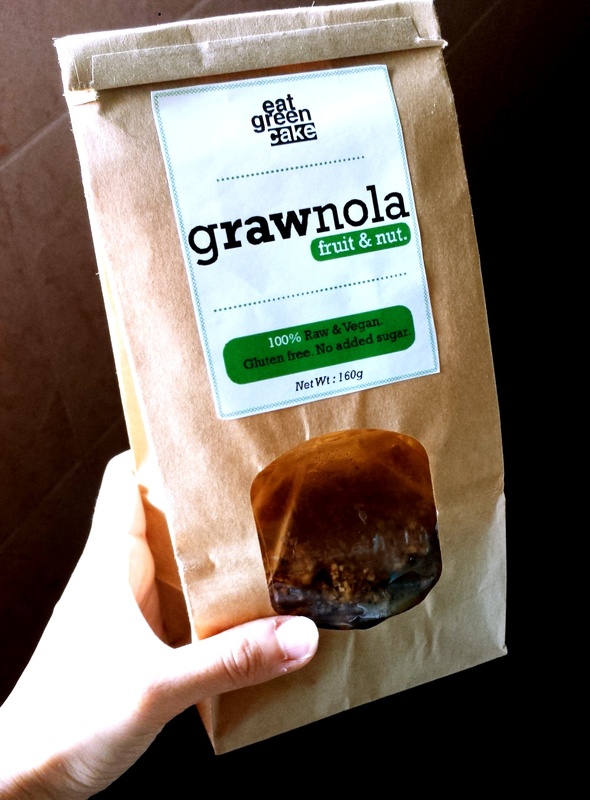 Fruit and Nut Grawnola for SALE! I’m really excited to be writing this post! Last month I sold a small batch of my raw grawnola on Instagram and the response was pretty good (thank you all of you who bought!). Or if you’re around HarbourFront during those 3 days, then anytime during 12-2pm is fine too! As many of you may know, I consider hummus one of the greatest dishes on this earth. 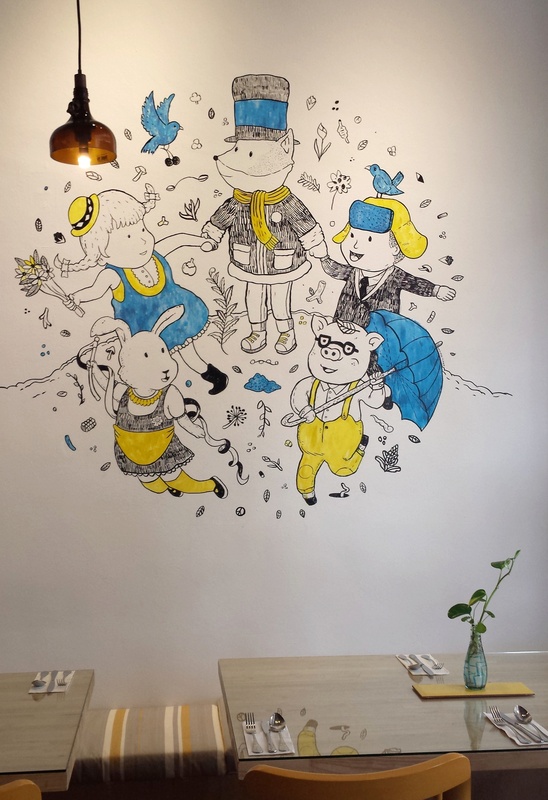 A few weeks ago I visited this Mediterranean place at Haji Lane and was served some really bland tasting hummus =( Needless to say, I left feeling VERY disappointed and had a big gaping unsatisfied craving! So Me+Unsatisfied cravings do not go well together. I made up for the craving by making home made hummus for 3 weeks straight! Haha i think I can safely say that my cravings are officially SATISFIED. Anyway, I love making different variations of Hummus. 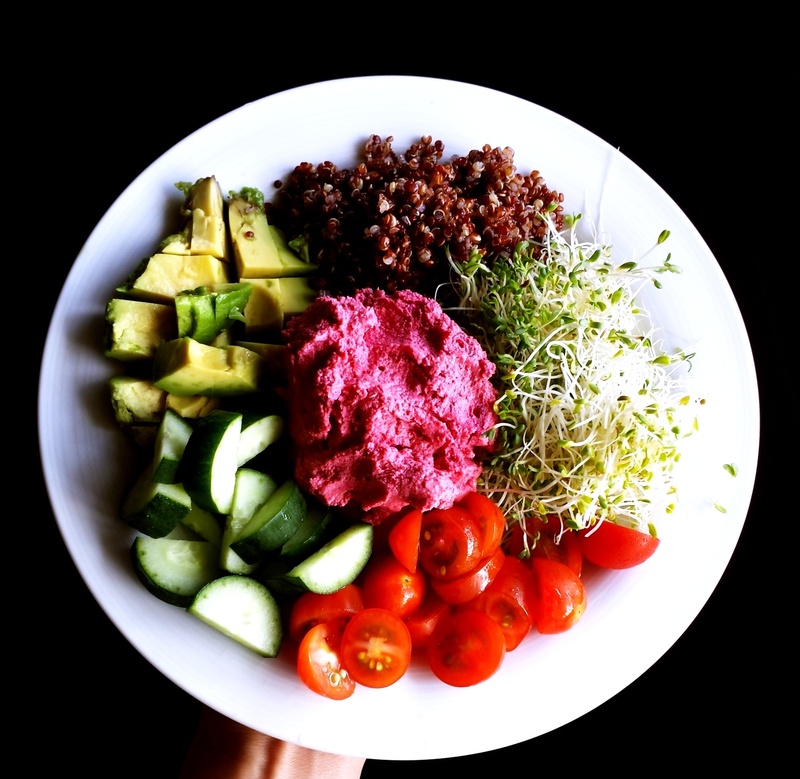 These 2 weeks, my fav variations were the Roasted Red Pepper Hummus and Roasted Beetroot Hummus. SO YUM!! I’ve been basically pairing them with all my dishes – as a dip, a spread and a dressing for my salads! 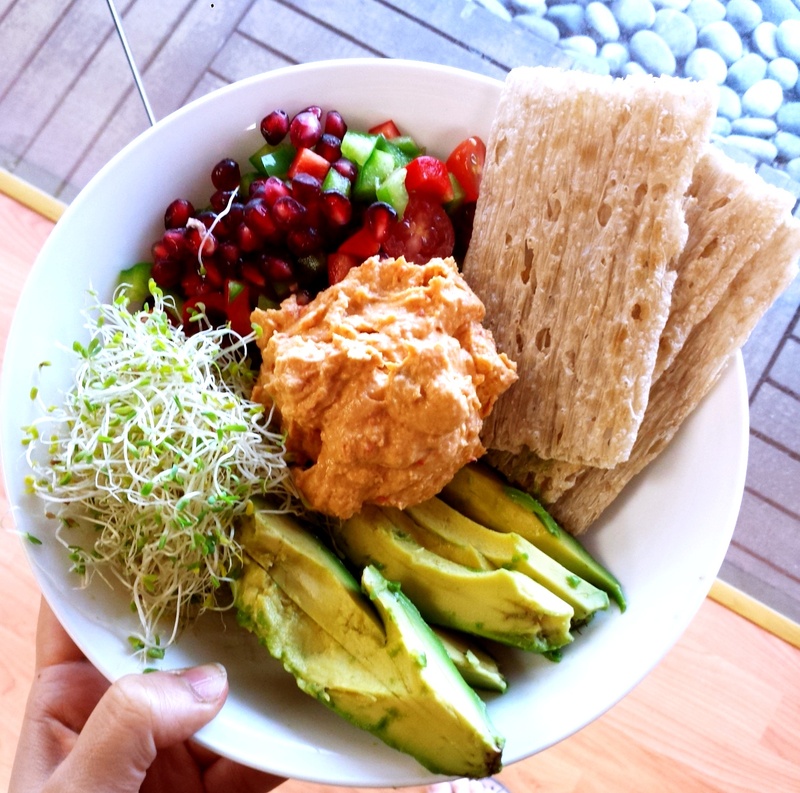 You can check out my recipes for the Classic Hummus, Raw Vegan Hummus and Sweet Potato Hummus as well. 1) Preheat the oven to 180 degrees. Remove the stalk and seeds and slice the Red pepper in to stripes. Drizzle generously with olive oil and place in the oven for at least 40 – 50 min. Only remove it once the edges are starting to brown or blacken. 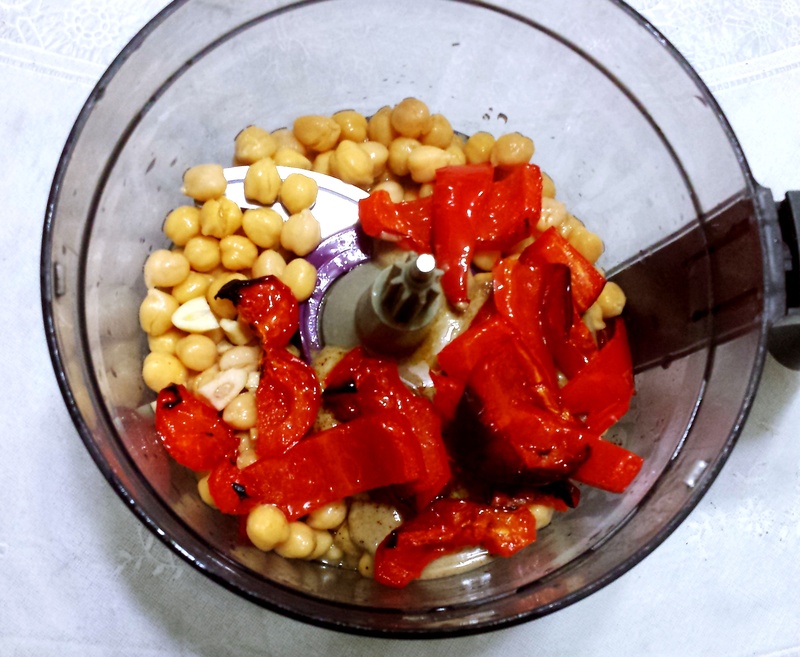 2) In a food processor, add all ingredients and process away. > I don’t add much salt but taste as you process your hummus and add more till you find the taste that suits you best. > I also like my hummus really thick. If you want a smoother consistency, add bit more lemon juice or liquid. 1) Preheat the oven to 180 degrees. Remove the skin and slice the beetroom into even pieces (not too thin or they may become chips!). Drizzle generously with olive oil and place in the oven for at least 35-45 min. Only remove it the pieces start to soften and caramelize. > I don’t add much salt but taste as you process your hummus and add more till you find the taste that suits you best. I acutally added abit more cumin afterwards because i simply love the taste. Feel free to add more if you wish. > This hummus is thicker than the roasted Red Pepper one. Similarly, add more lemon juice or water if you don’t want it so thick. Sorry for the hiatus, I’ve not been doing a very good job juggling work, social and blogging 😦 But am really grateful for those of you who have still been dropping me comments and mails…thank you thank you!! 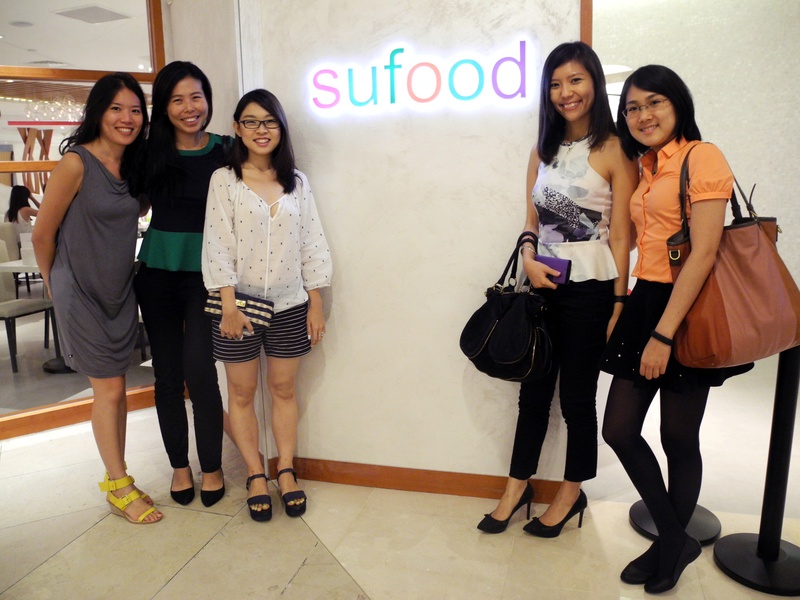 SUFOOD is located at Raffles City Shopping Center….FINALLY another vegetarian option in town! So stoked about the location because most good veg food are not located near any central MRT stations and this makes meat-free options so much more accessible to the masses (and for me hohoho!). 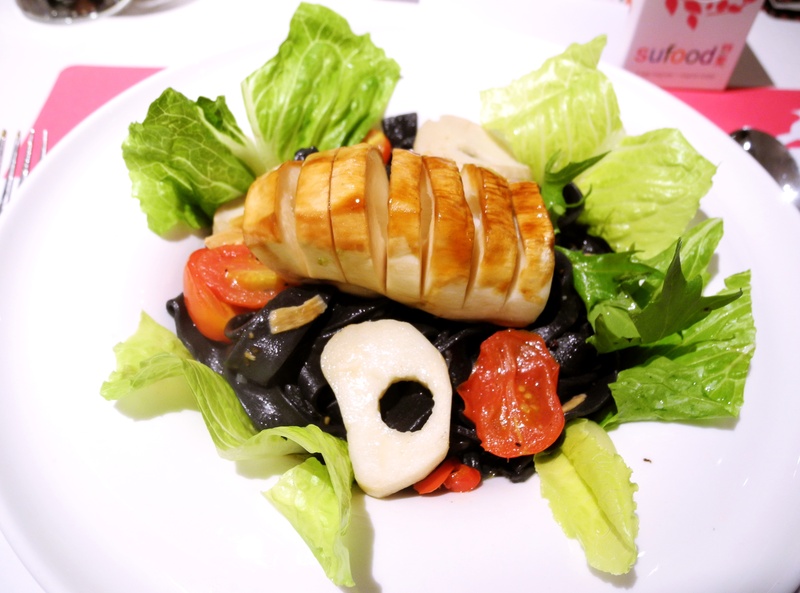 SUFOOD’s vegetarian menu is Italian-inspired with a playful cross-fusion approach to culinary creations. 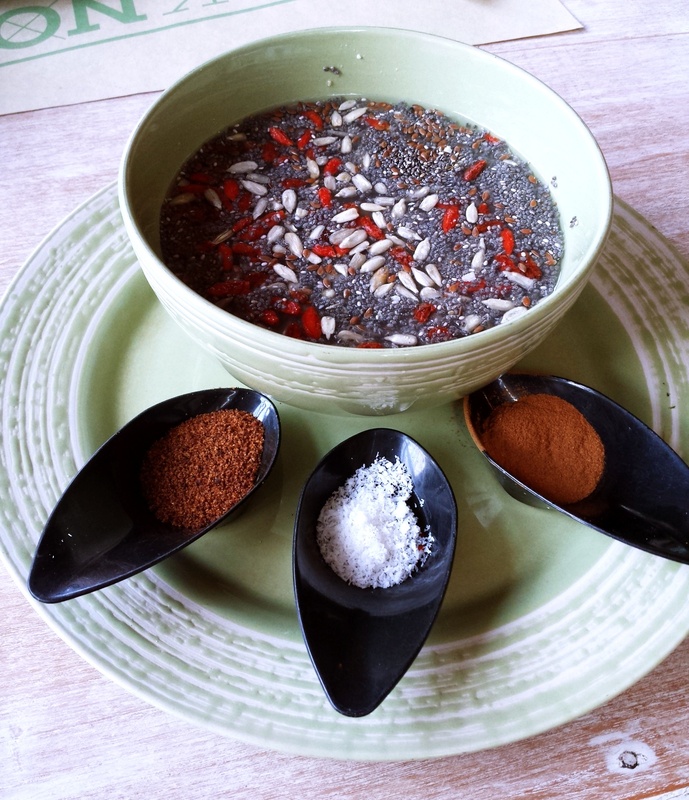 Ingredients for their menu are sourced regionally and all food is prepared with no artificial flavorings or MSG, yay! 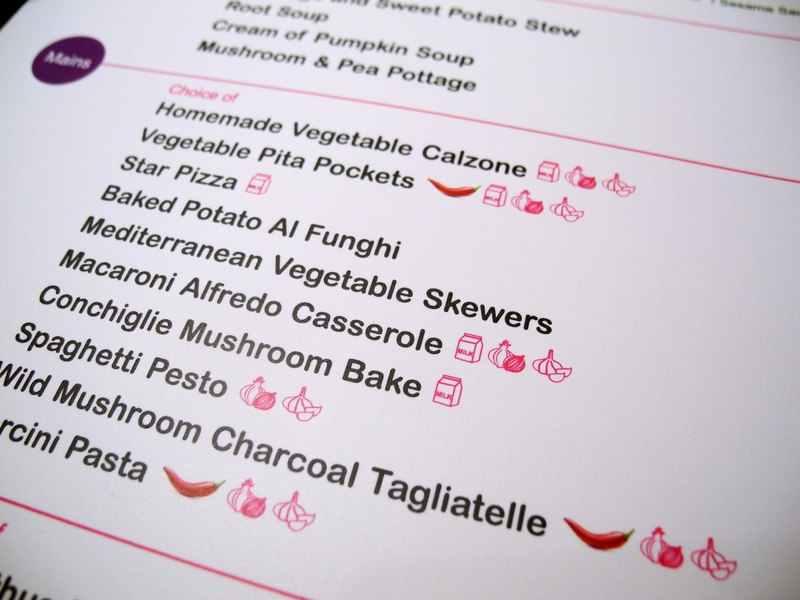 Love the colourful and vegan-friendly menu – all dishes have cute little icons beside indicating if it contains diary products , onions or garlic. 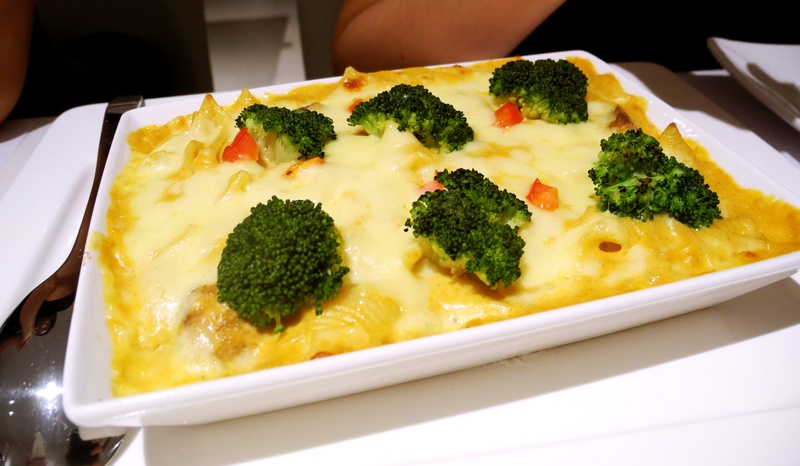 There’s a wide range of options in the menu – from appetizers to soups, and mains to desserts. 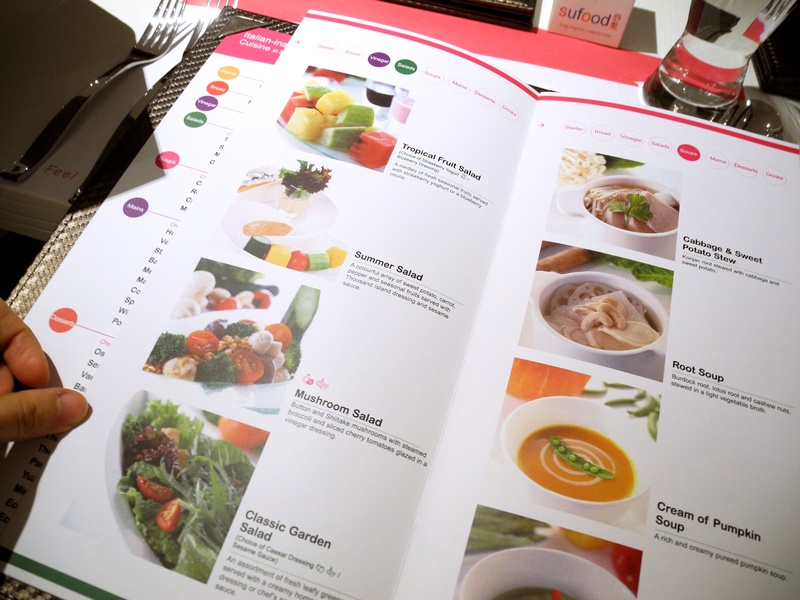 BUTBUTBUT why would you go a la carte when you can go for their ULTRA value for money 8-course set meal at $25++?? When i first saw the price, i honestly thought I saw it wrongly, or that the portions were going to be bite sized. But boy was I wrong. 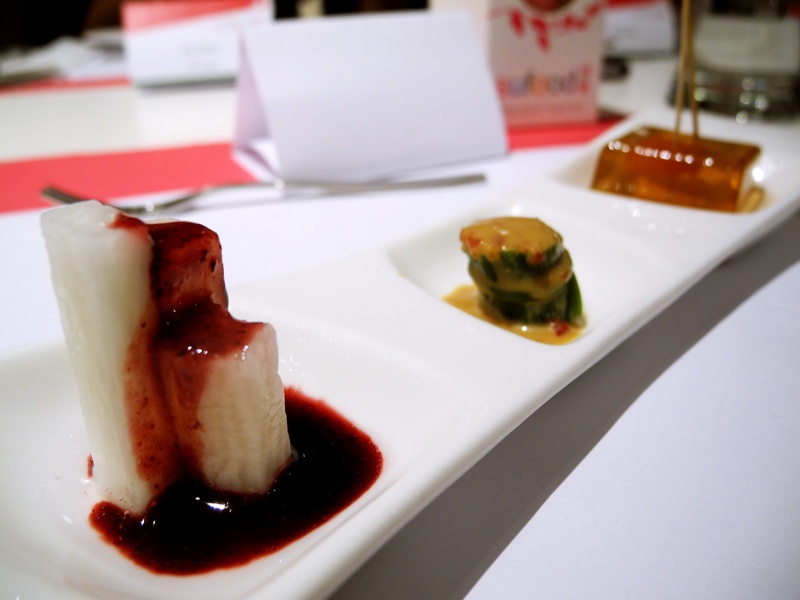 Started off the course with their SUFOOD appetizer – a delicate trio of poached Japanese Yuca root drizzled with a blueberry coulis, a stack of oriental white water snowflake greens and a savoury cherry tomato jelly. Each appetizer was unique – and because there was one each of something sweet, savoury and sour, it really tantalized my tastebuds and got me looking forward to the next course. The shot of vinegar is made from fermented mulberry roots and is supposedly very healthy. The strong sour tastes takes some people a while to get used to, but its OK for me since I’m used to taking Apple Cider Vinegar. 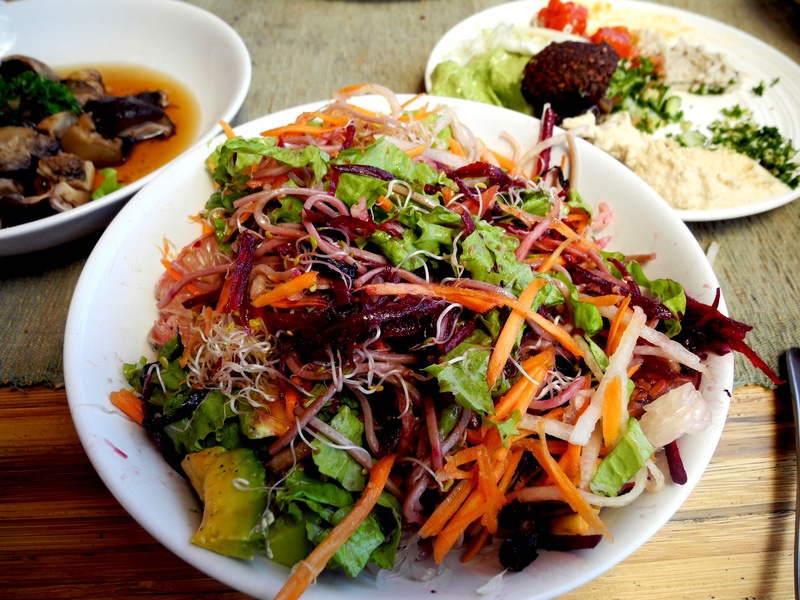 The Salad options were very simple – i had the Mushroom Salad. It was lightly seasoned and probably the most flavourful among the rest of the salads which were mostly raw. Probably not the place you come to if you want to dig into a hearty salad dish. 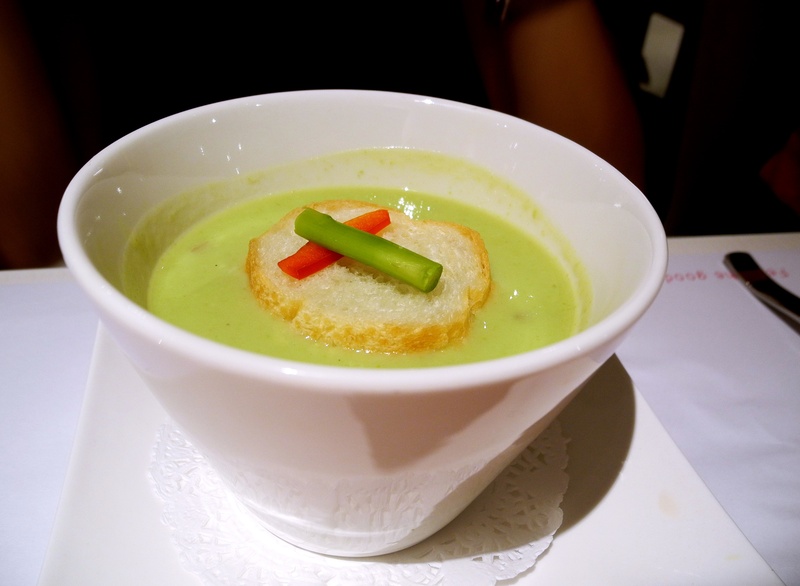 The Soup Course was one of my faves. I went more Asian and chose the Cabbage and Sweet Potato Stew…and wow this was really good! The broth was so flavorful it reminded me of my grandma’s cooking. Everyone thought it was the best soup on the table too! Tried a few spoonfuls of other soups- my next fav was the Mushroom & Pea Pottage Soup – It wasn’t overly thick and surprising savory! By the time we reached our Main Course, I was quite full! Ordered the Wild Mushroom Charcoal Tagliatelle and served a delightful looking dish. This was my dish of the day – the dish had alot of asian flavours but it was really unique in a good way. 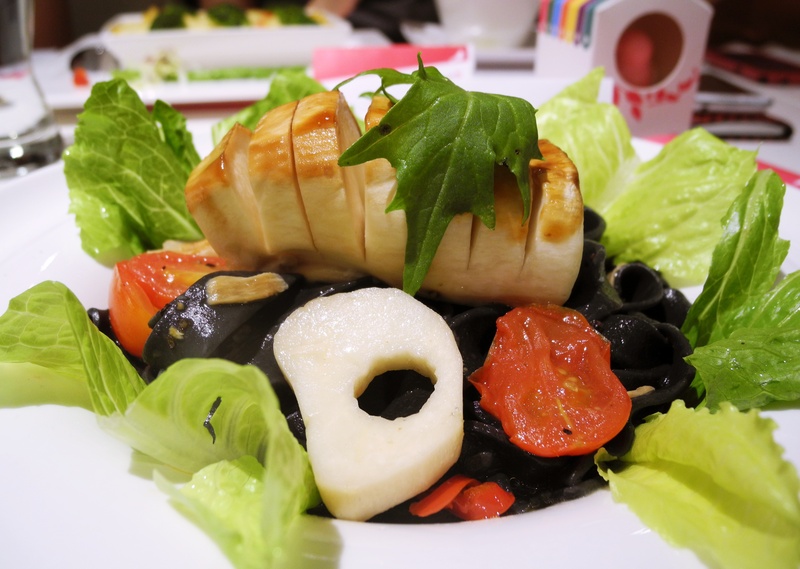 The charcoal pasta was really well made, chewy and best part, it doesn’t stain your teeth! The mushrooms were fresh (looks like squid right?) and complemented the pasta excellently. For dishes that require diners to use their hands to pick up the food, SUFOOD provides gloves to ease the dining experience. So considerate right? Only some mains are vegan but i think that the vegan options looked even better than the veg ones! A dish I spyed someone at the next table having was the Mediterranean Vegetable Skewers and it looked so delicious! So gonna try that the next time I’m there. Dessert time! The dessert portions are quite small but to me, it was the perfect portion-size after you’ve just had 6 courses. The only vegan option was the Osmanthus Flower Jelly. Another fav of mine! 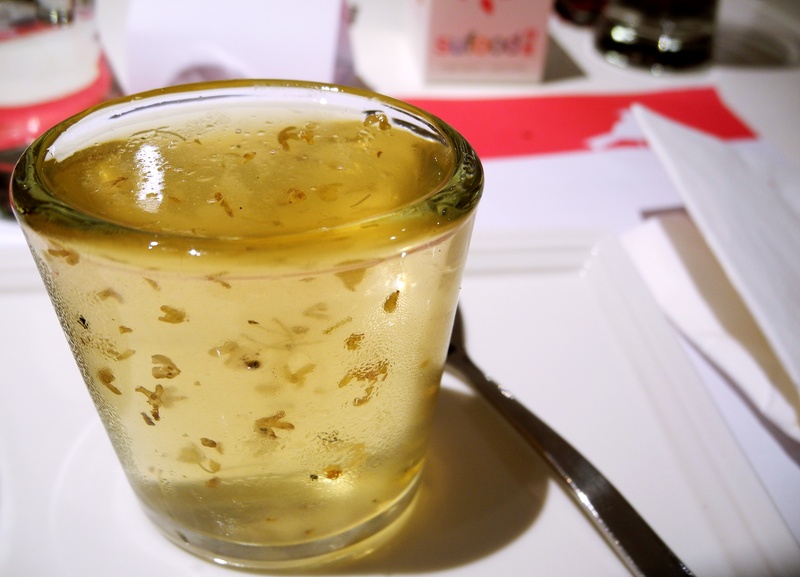 The texture of the jelly was perfect – The Taiwanese really know their jelly man – and you could taste and see the infused Osmanthus flowers with each bite. 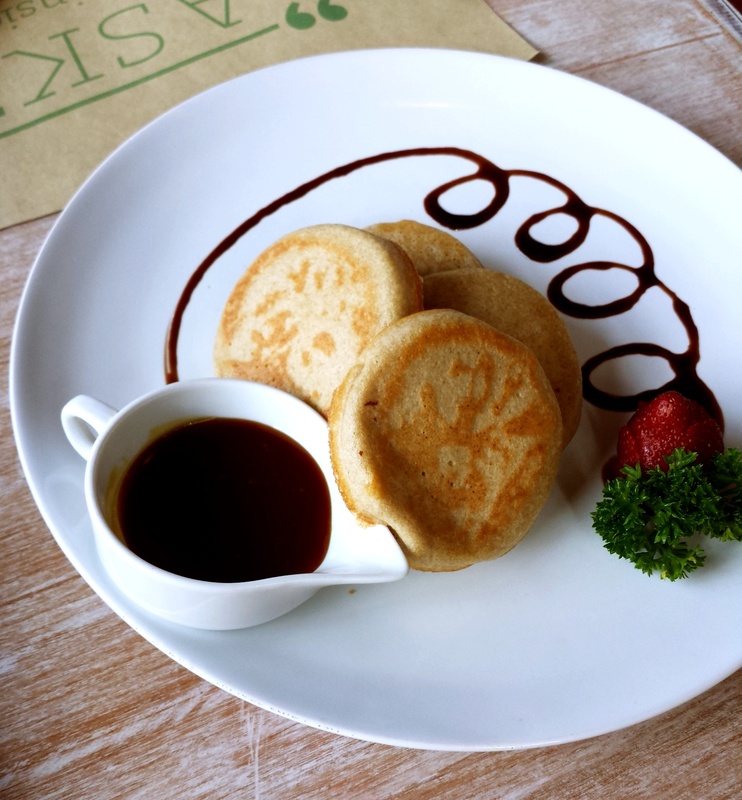 The dessert comes with a drink – and you get to choose between hot tea and fruit juices. I had “The Very Berry” drink, a little too sweet/sour for me …should have gone for the hot tea instead. 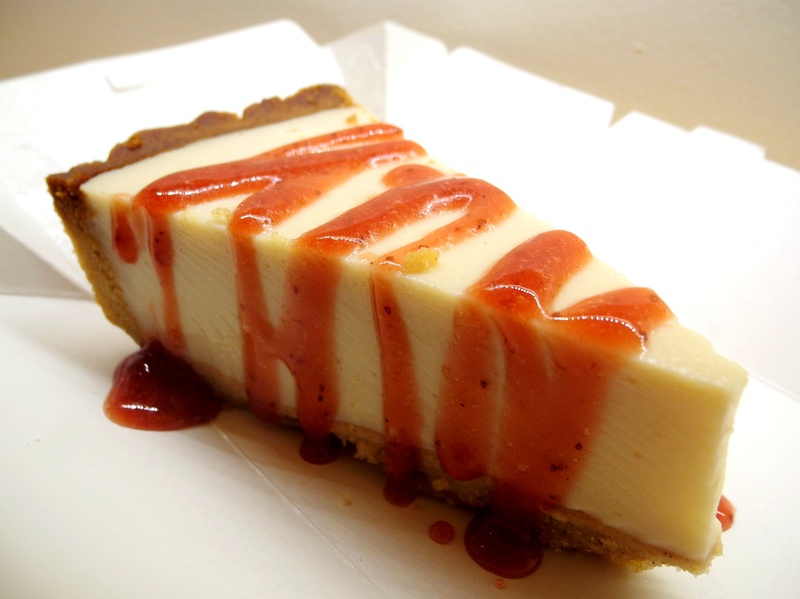 Other desserts in the menu include cheesecake and panna cotta. 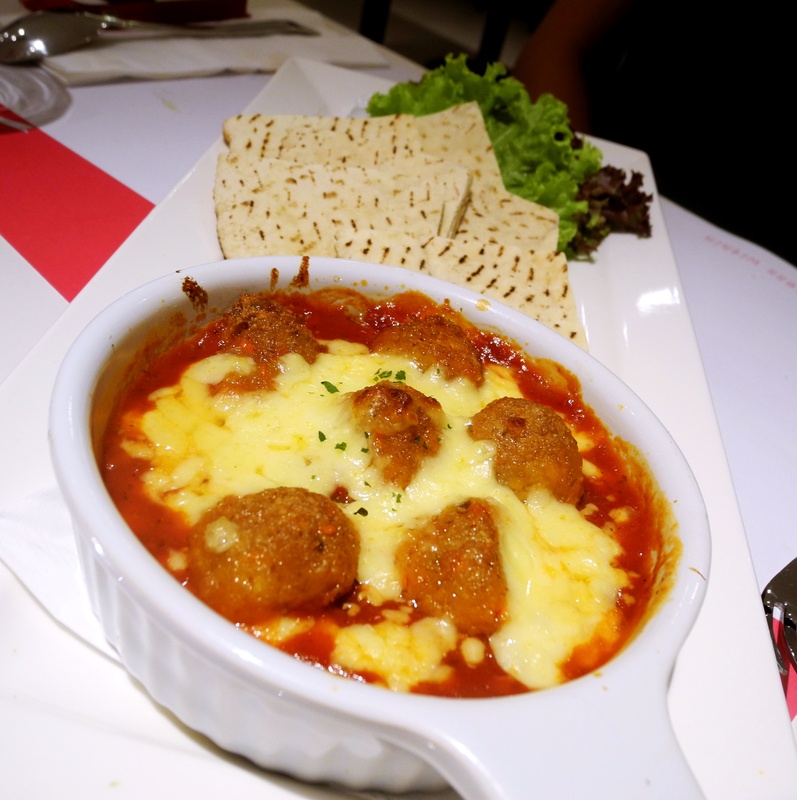 SUFOOD is definitely a place I’ll visit again because it serves good quality food at really affordable prices! Seriously, what more can a Singaporean ask for?! 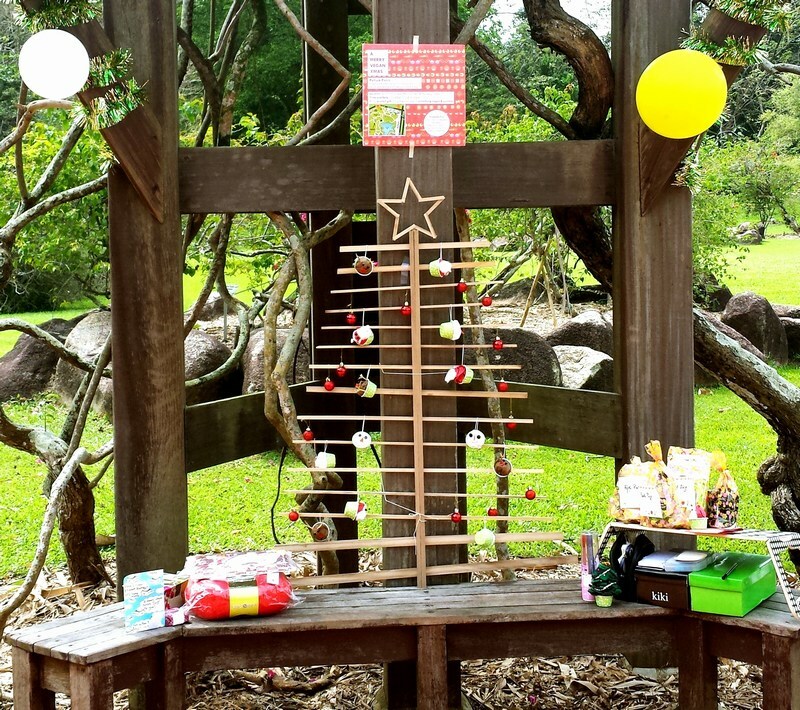 So, make a trip down to check it out…and loosen your waist band! 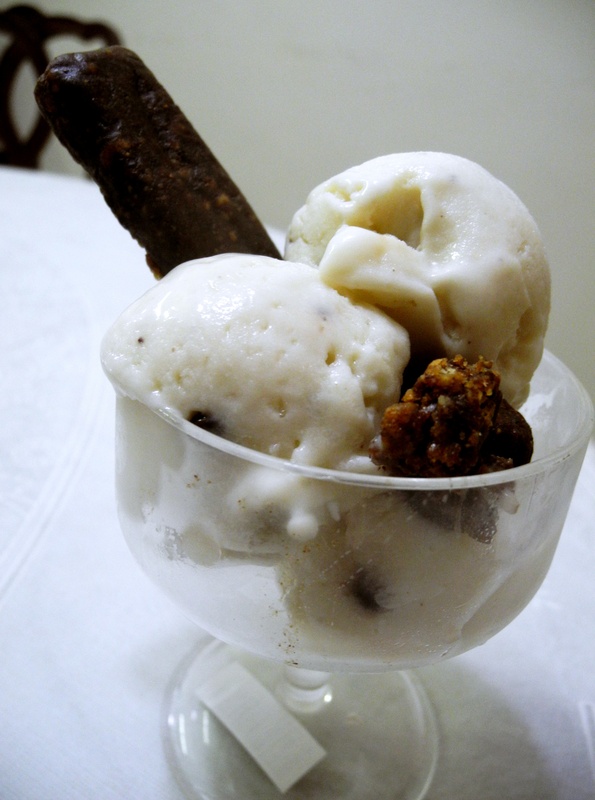 I’m so excited to write this post because its about ICE CREAM!! For those of you living in Singapore, be sure to note this brand below! 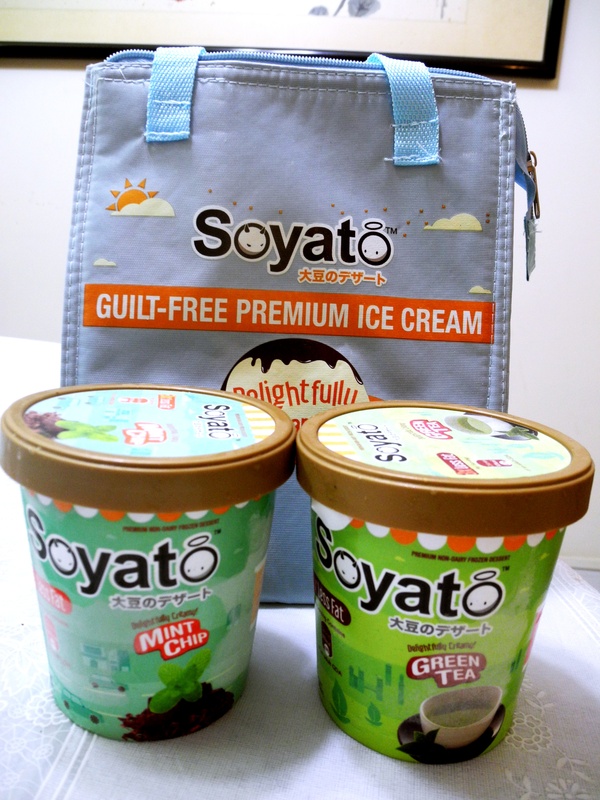 Soyato is a home-grown Ice Cream Brand that prides itself for producing healthy, delicious Soy Ice cream! 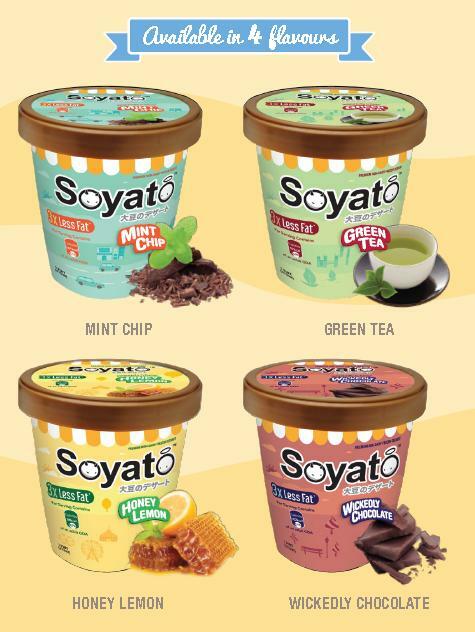 Soyato ice cream is made from non-GMO soy beans and other plant based ingredients ….and it happens to be vegan too, so TWO THUMBS UP! This healthy treat is also trans-fat free, cholesterol-free, and has probiotics added. Many people are surprised when I tell them that vegan desserts can be very sinful and calorie laden – though we don’t use eggs, milk or butter , our desserts still contain sugar and vegan substitutes. 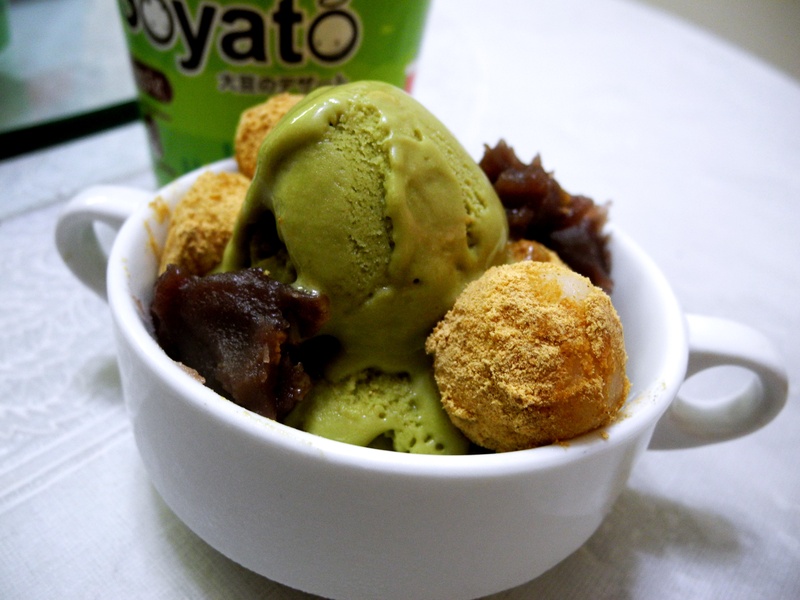 What I love about Soyato is that it is one vegan dessert that you can indulge without feeling guilty and worrying about your waist line. Each 100ml serving contains only 100Kcal (normal around 170Kcal) and 3x less sugar than normal Ice cream. Hooray, Ice Cream that is Healthy and Keeps me skinny? I’m sold! 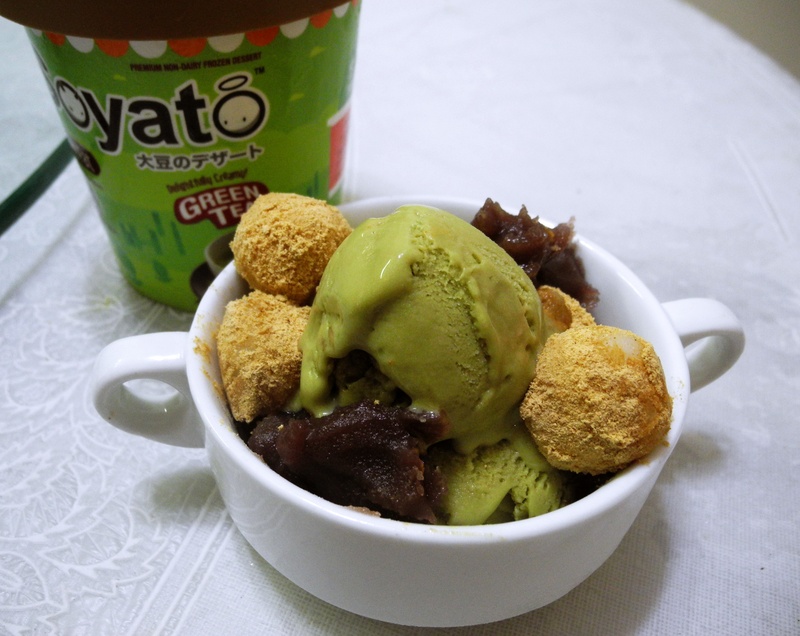 Green Tea flavour – definitely my favourite among the 2 flavours! Strange thing is, I’m not crazy over Matcha and on a normal day I would choose Mint over Green Tea hands down. But I think the main reason why this flavour got my vote is because its SO CREAMY. I’m a sucker for creamy textures and they’ve nailed the texture with this flavour. 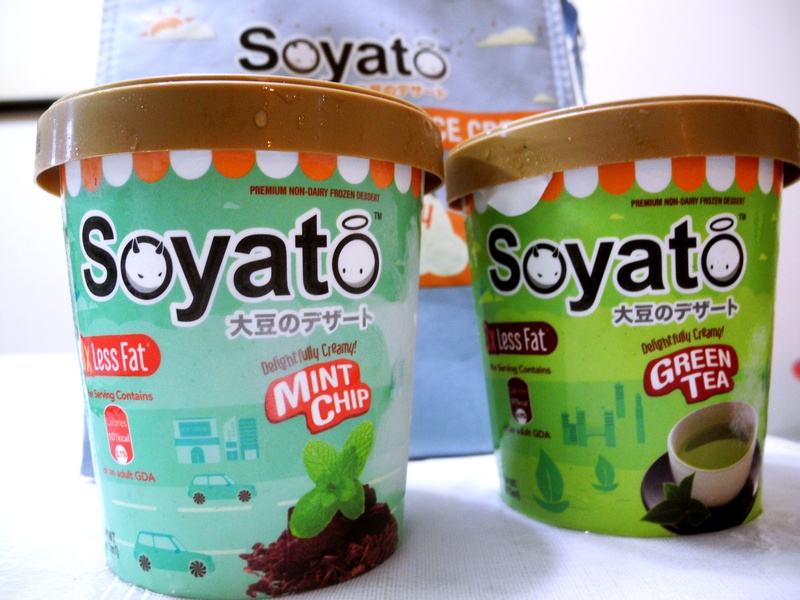 I also like that both the soy and matcha flavours are well-balanced and not too overpowering or sweet. My siblings gave the Green Tea flavour their stamp of approval with an exclaimed “Wow this is vegan meh?”. Ha, something every vegan/vegetarian hopes to hear their non-vege friends say. Mint Chocolate Chip flavour– I also like this flavour – it’s light and minty; resembling more of a sorbet like texture. 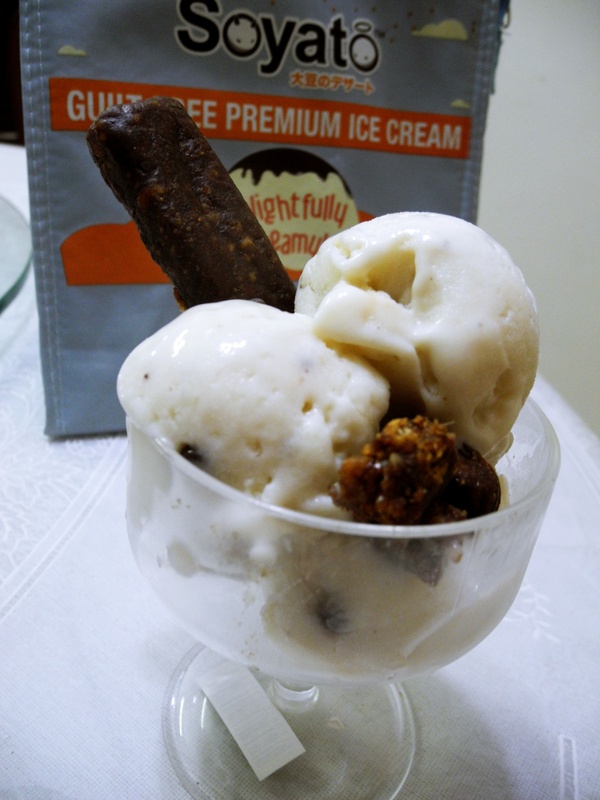 My favourite part is the crunchy bits of chocolate chunks you find inside the ice cream. yummehhh. Oh I have to add that I was pleasantly surprised that this ice cream wasn’t the typical green-colour you’ve come to expect from mint flavoured desserts. But its great because I get none of the artificial mint taste but still remains refreshing at the same time. 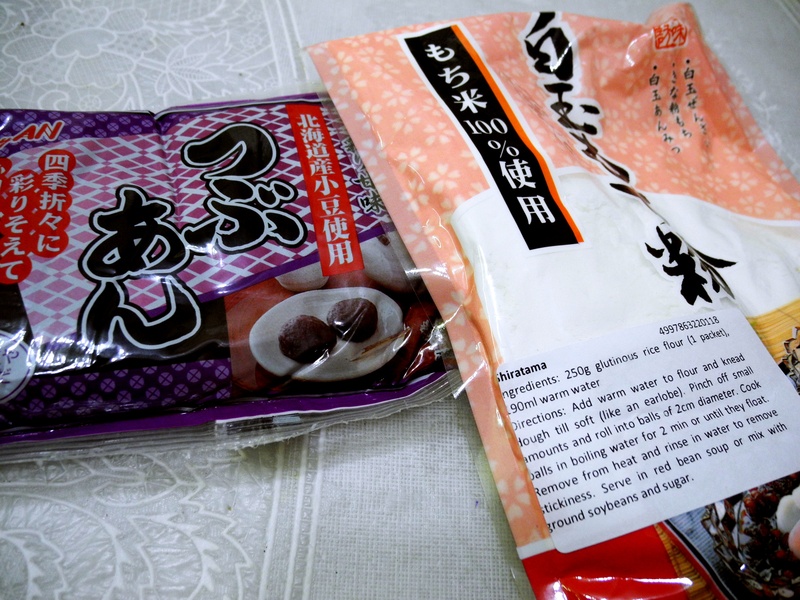 * I bought the Peanut powder, Dango powder (rice flour) and Red bean paste from Daiso. Surprisingly, all vegan too! Follow the instructions on the Dango Powder packaging. Mix 250ml of powder with 200 ml of warm water. Knead till the mixture becomes dough-like and sticky. Roll into mochi balls and put in in a pot of boiling water. Wait till the mochi balls turn become soft and chewy before you remove them. Coat them in peanut powder and leave one side. 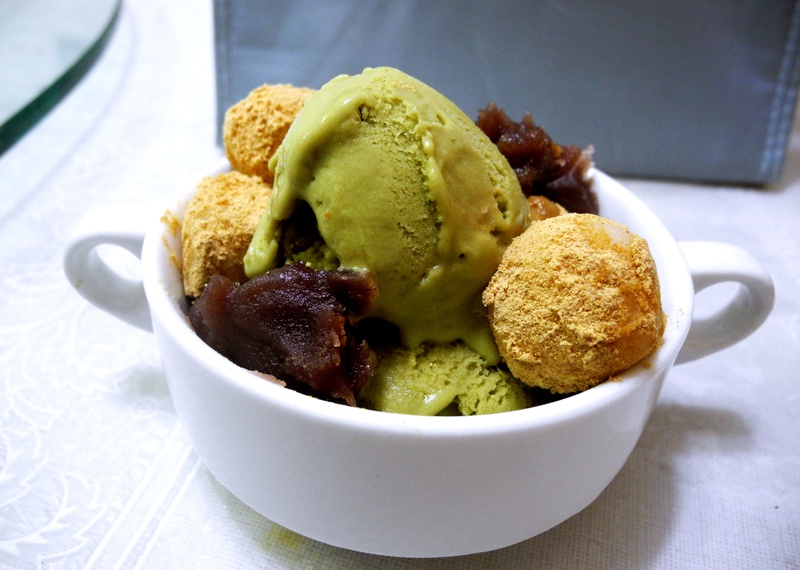 Scoop the green tea ice cream in a bowl, decorate with peanut mochi bowls and add red bean paste on the side. Sprinkle with more peanut powder and you’re good to go. Easy peasy eh? I’m definitely going to make this dessert again when my friends come over because its a sure win crowd pleaser. 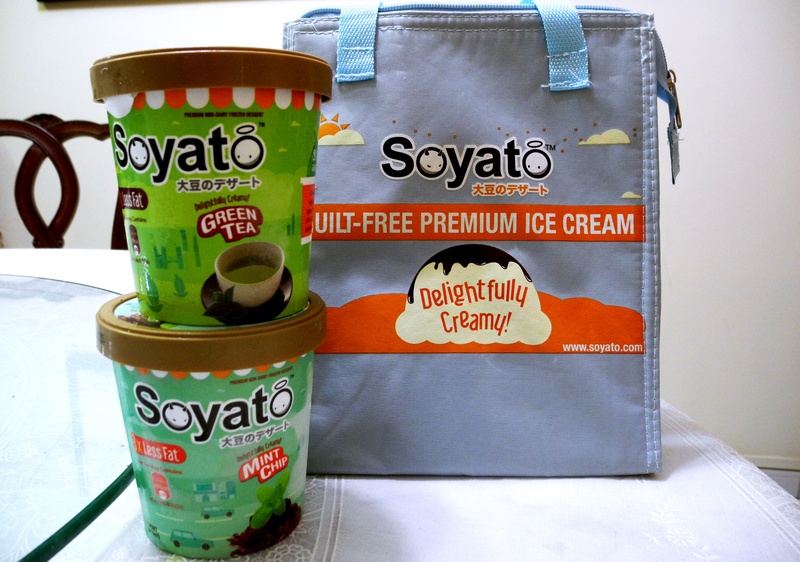 2.Like “Soyato” on facebook to take part in their upcoming contest to win prizes! 3.Follow “Soyato” on instagram and hashtag #Soyato to show some support. #SGpride! 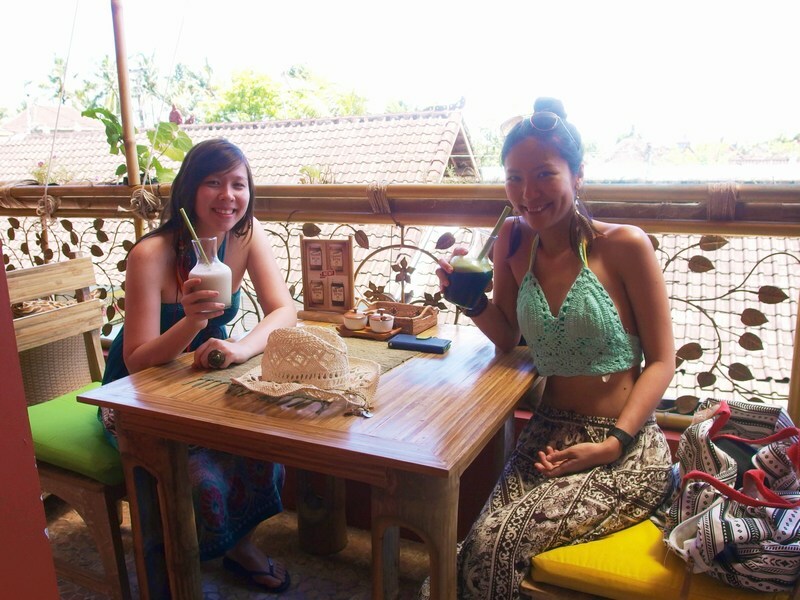 I finally made a trip to Bali last month and ticked an item of my bucket list! Bali is such an amazing place so full of charm and character. And it attracts all sorts of people. Some know Bali as a place with picturesque fields, revered temples and where they can find spirituality and calmness. Others flock there for the boisterous nightlife and never ending beaches. Me? 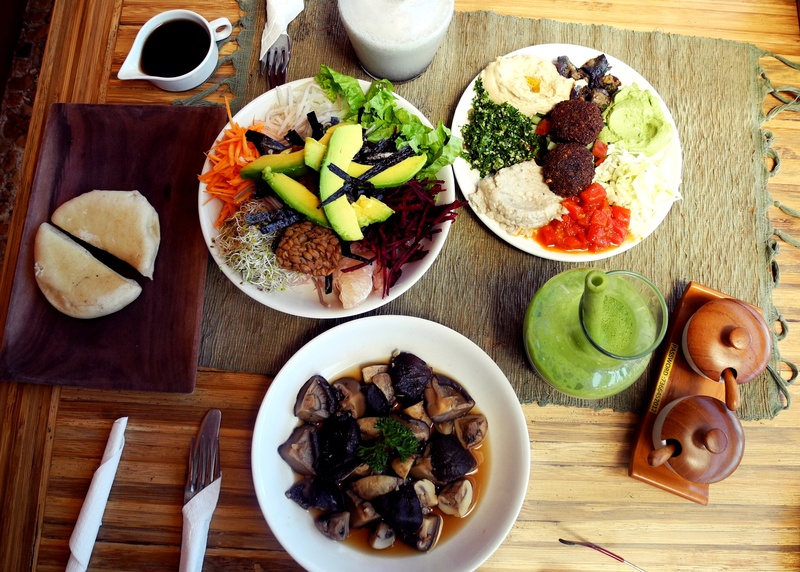 I’ve come to know as a raw and vegan food paradise! Since I was only spending 3 days there, I wanted to make sure I went to the best vegan places around. 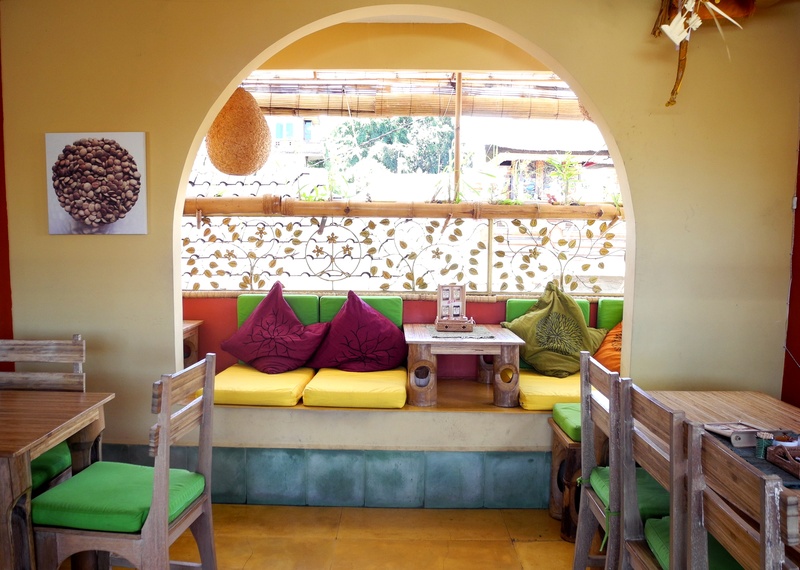 After doing some research on the internet and gathering travel tips from fellow vegan friends, I knew that one of the cafes I had to check out was Down to Earth Bali because it was much raved about. And boy was I glad I did! 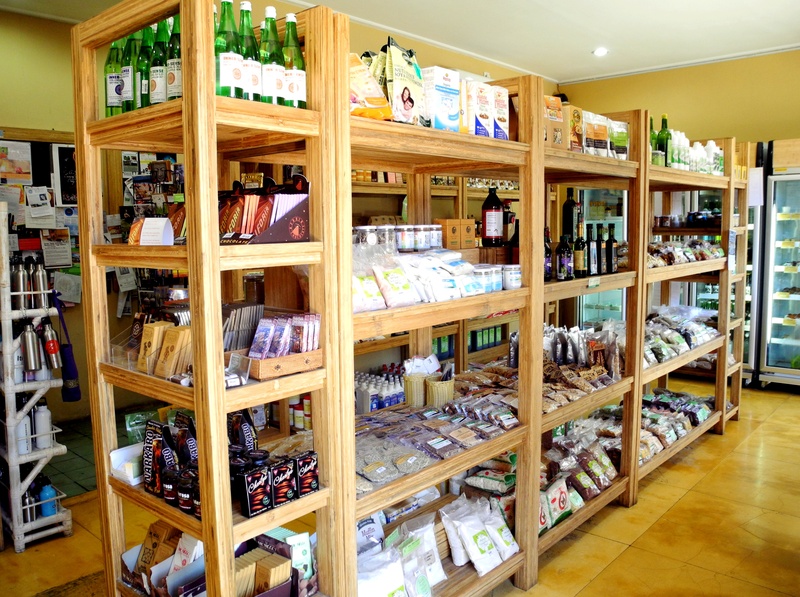 I visited Down to Earth’s Ubud branch and was greeted with a cheerful looking 2 storey building that houses a health food shop on the first floor and a restaurant on the second floor. 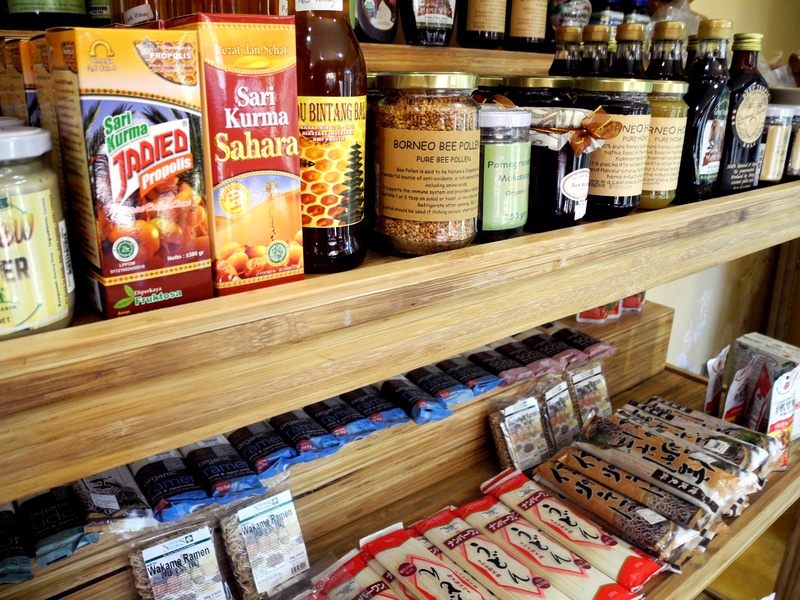 Down to Earth believes in serving organic, unprocessed and ethical vegetarian gourmet food that is healthy yet delicious at the same time. Something I highly identify with as well. I’ll start with …the Restaurant! 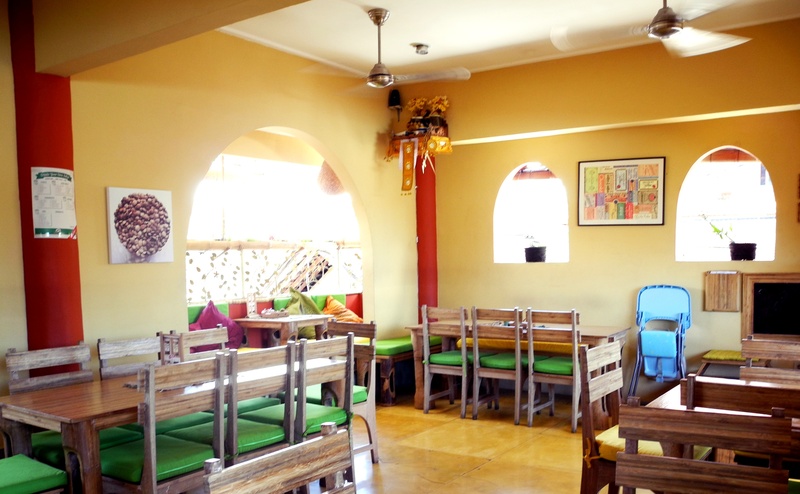 The restaurant is spacious, airy and bright rays spill in from the balcony. 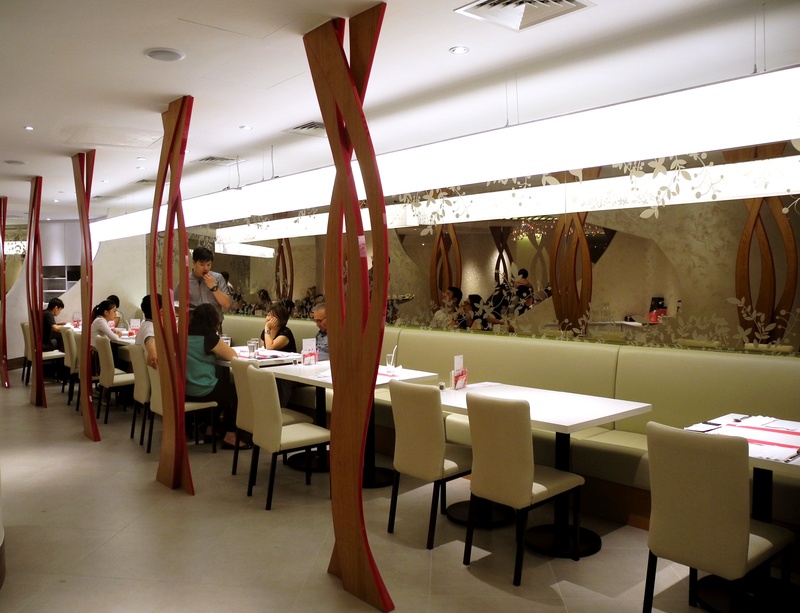 It has a extremely cosy feel – woody furniture and bright, plush cushions. I like! 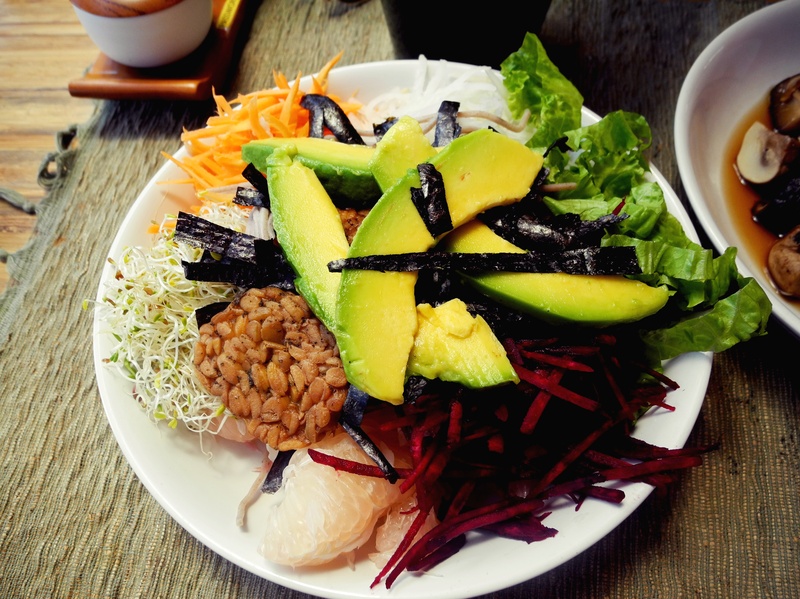 Dragon bowl salad – which contains organic vegetables, tempeh, avocado, pomelo and alfafa over a bed of buckwheat noodles and toasted sesame dressing. This was so delicioussssssss, an explosion of flavour and freshness in your mouth. Highly recommeded!! 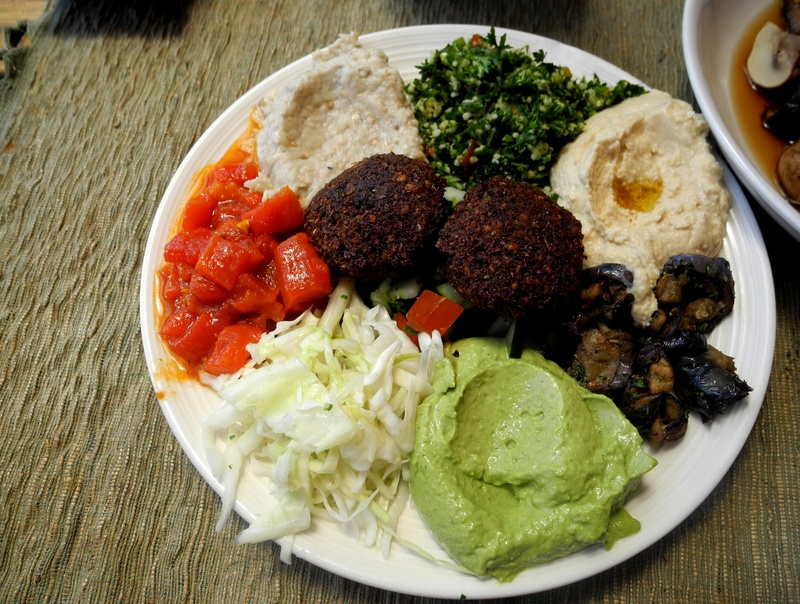 Another favourite I had was the Mediterranean platter – every component on this dish was fantastic and so fresh. 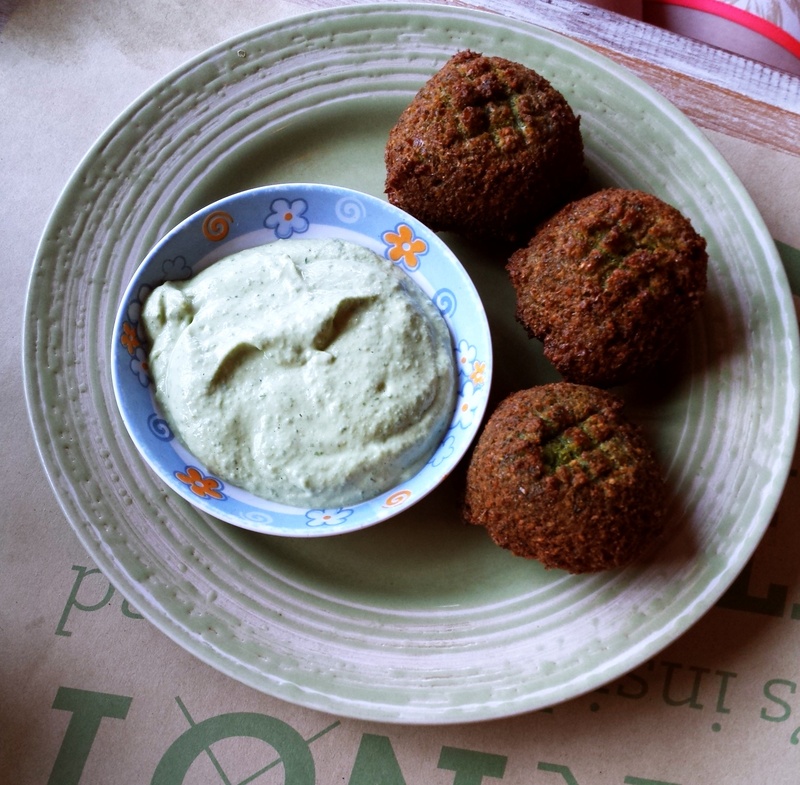 Especially the falafels – crispy on the outside but not dry on the inside. Highly recommended! My friend (who is non-vege) was crazy over this platter and we were so inspired by this dish we are going to recreate the whole thing next week! 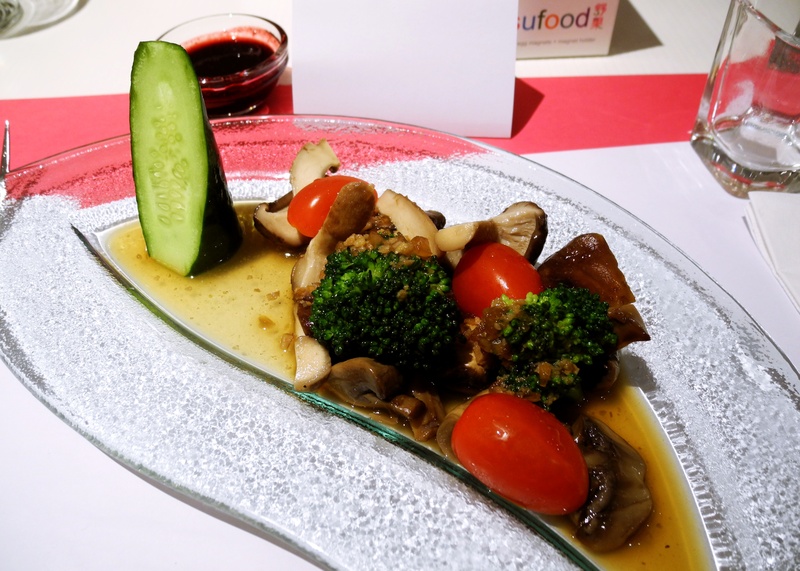 We also had marinated steamed trio of mushrooms – which is a simple dish but kept the sweetness and flavour of the mushrooms. yum! We were so full but I insisted on having at least ONE dessert. So we tried the raw rolade. 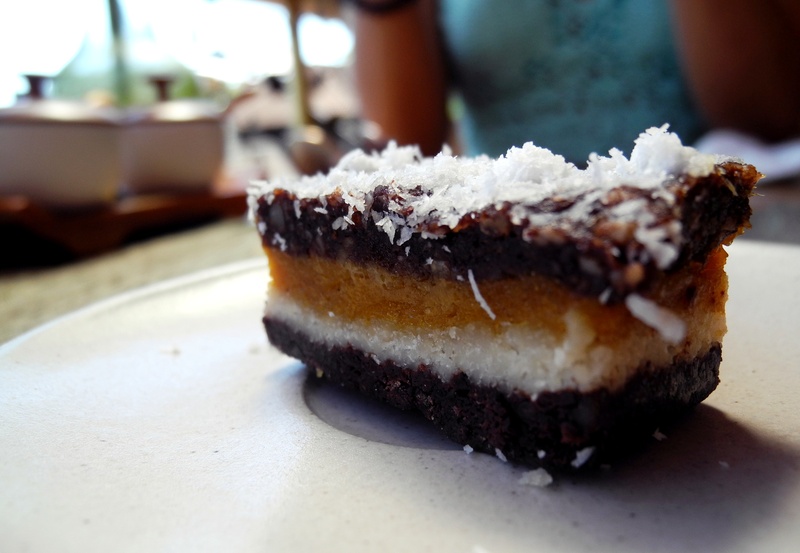 It was very coconut-y ,..abit too much so for my liking but still a pretty decent raw dessert. Us looking super happy and satisfied! My friend who is non-vege LOVED the food and i couldn’t be happier. 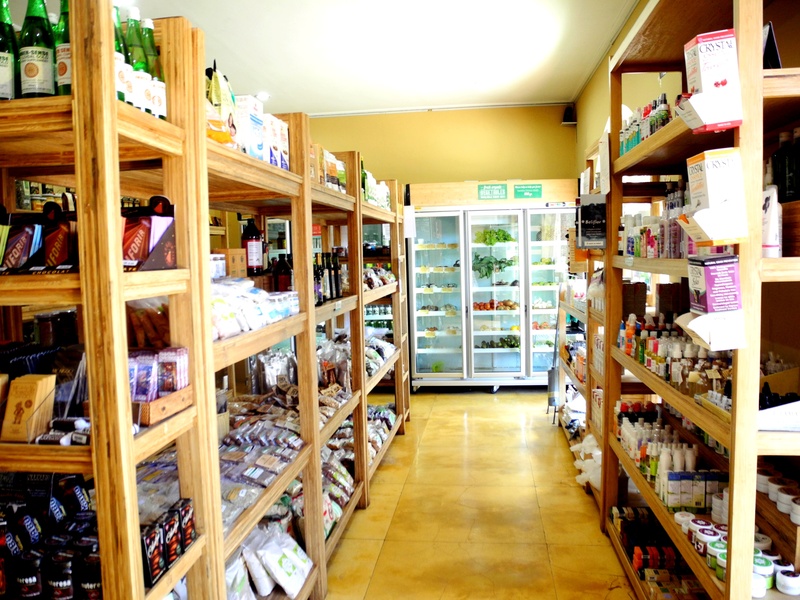 The health food shop on the first floor provides fresh organic produce, natural house hold products, chemical free cosmetics and health foods and treats. Needless to say…. I went abit mad! I lugged home SO MANY PRODUCTS!! 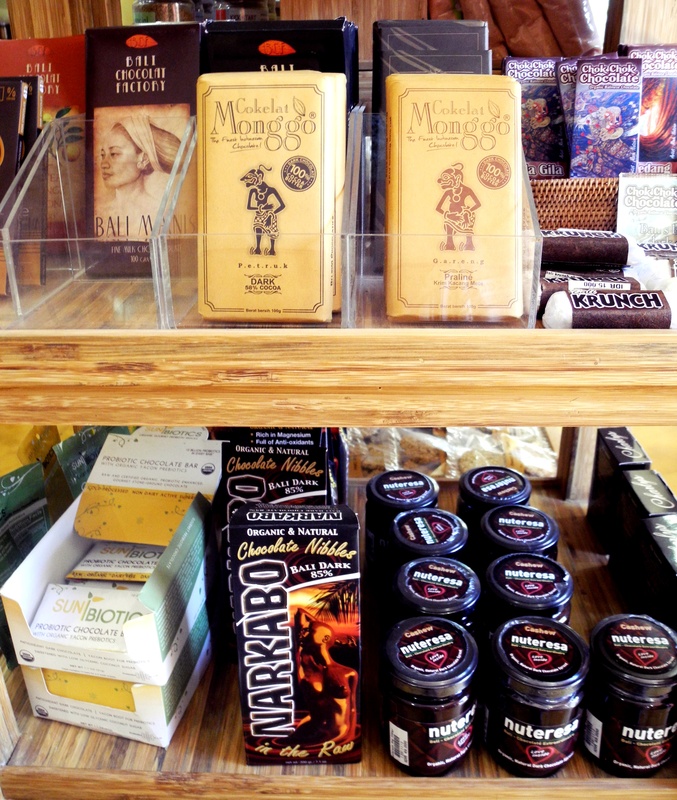 Cacao butter, cacao powder, dehydrated snacks, coconut powder etc…and the prices are WAY cheaper than in Singapore! 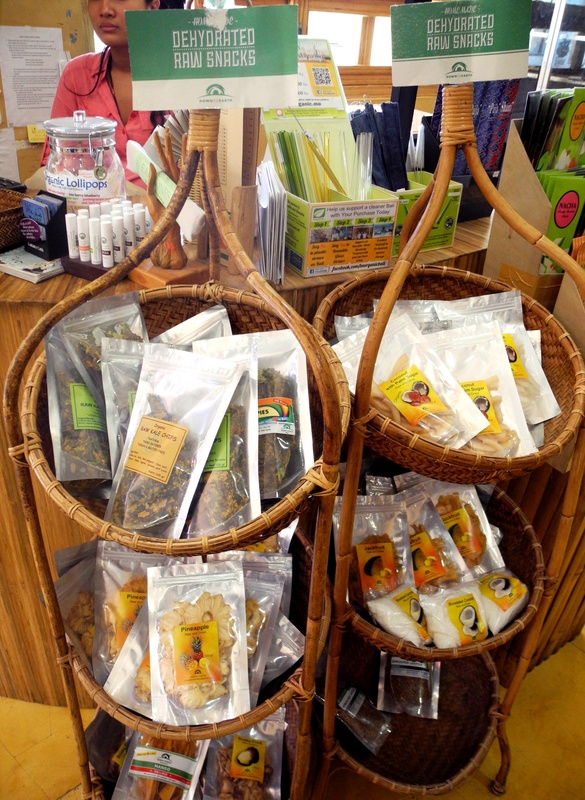 So if you have the chance to head to Bali, my advice is…stock up! 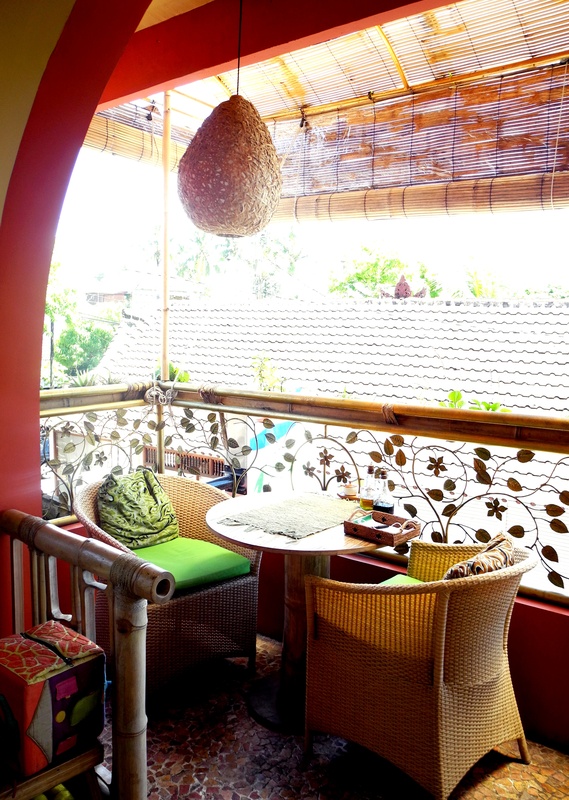 I highly recommend making a trip to Down to Earth Ubud when you visit Bali. 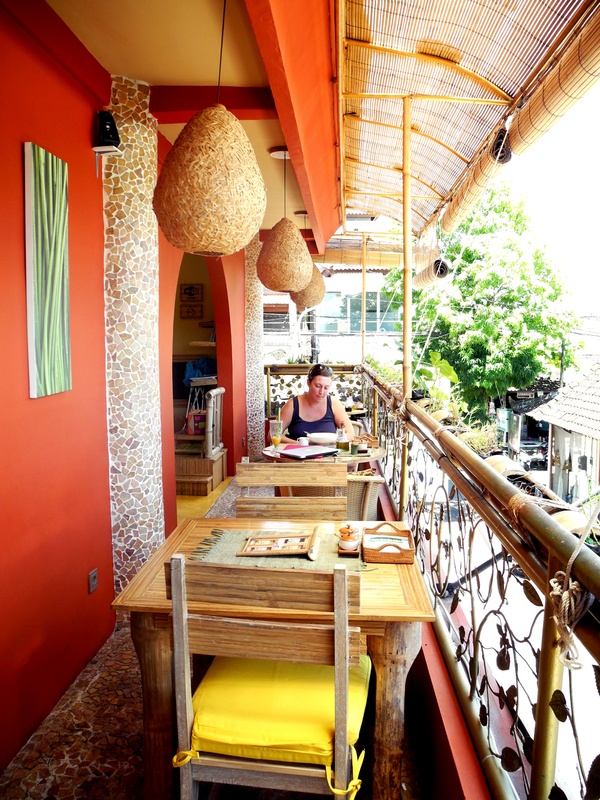 I was also very fortunate to be staying right across the road from Down to Earth’s Seminyak Branch, called Earth Cafe. 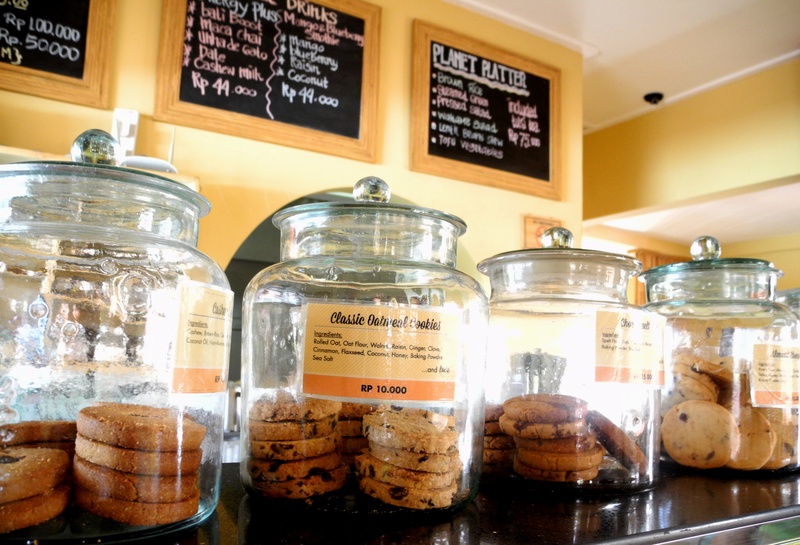 And I happily ditched hotel breakfast for breakfast at Earth Cafe every morning! 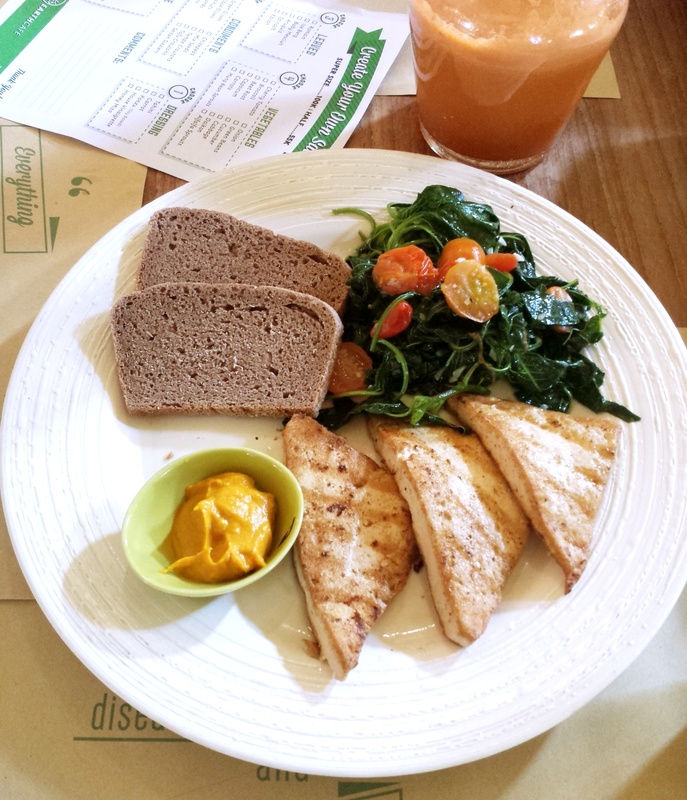 Both Earth Cafe and Down to Earth have the same menu but i managed to try most of the breakkie items! 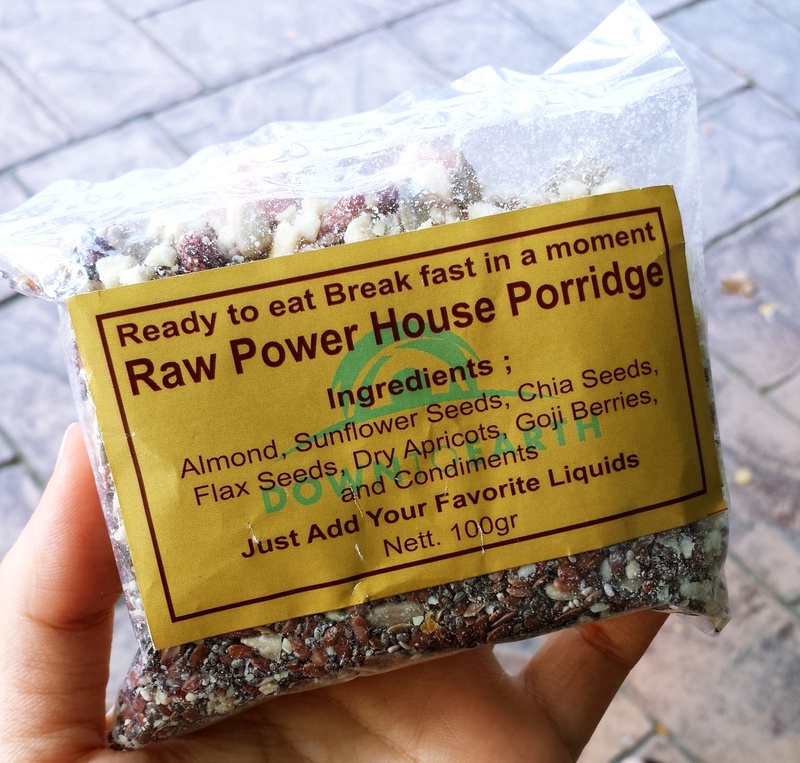 Raw breakfast mix with coconut water and spices- I LOVED this. I bought home a few packs and have been making them for breakfast since. 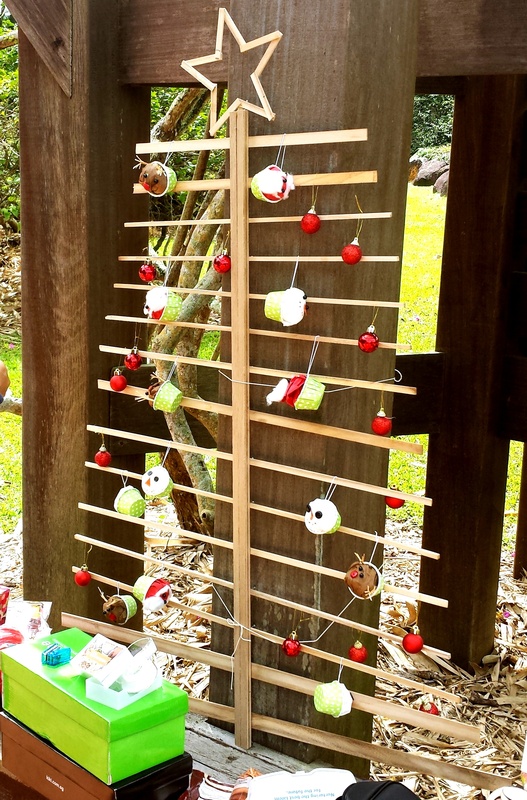 Super easy to DIY too. 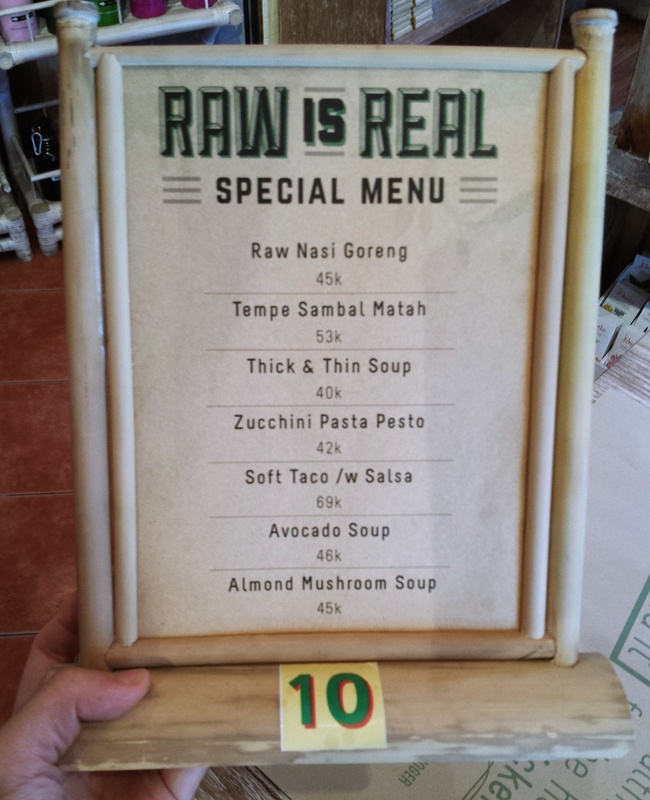 Tried an item from their raw food menu — raw nasi goreng! (or raw fried rice!) 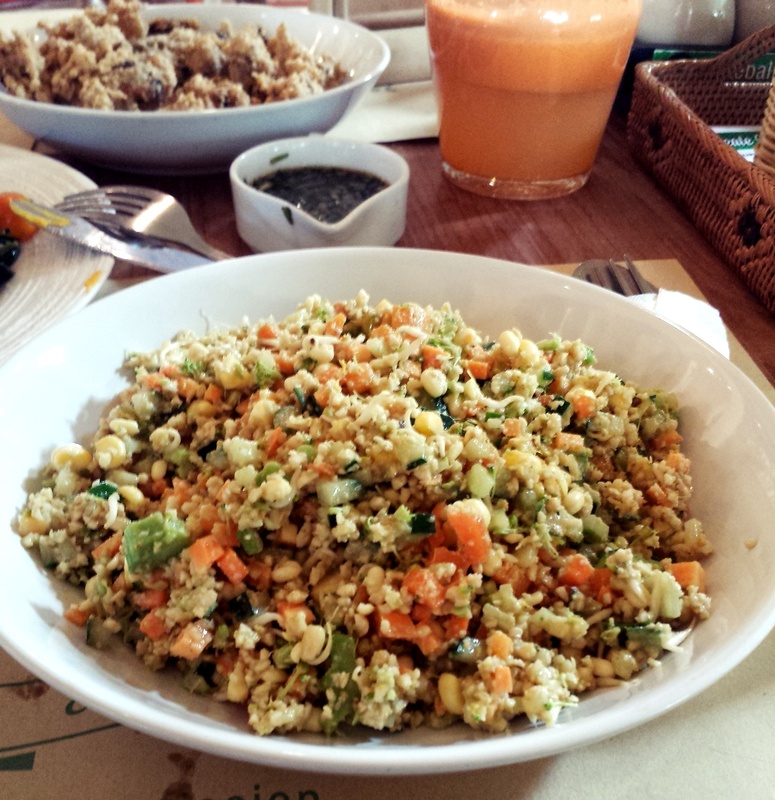 Its mainly sprouted grains with lots of chopped vegetables. 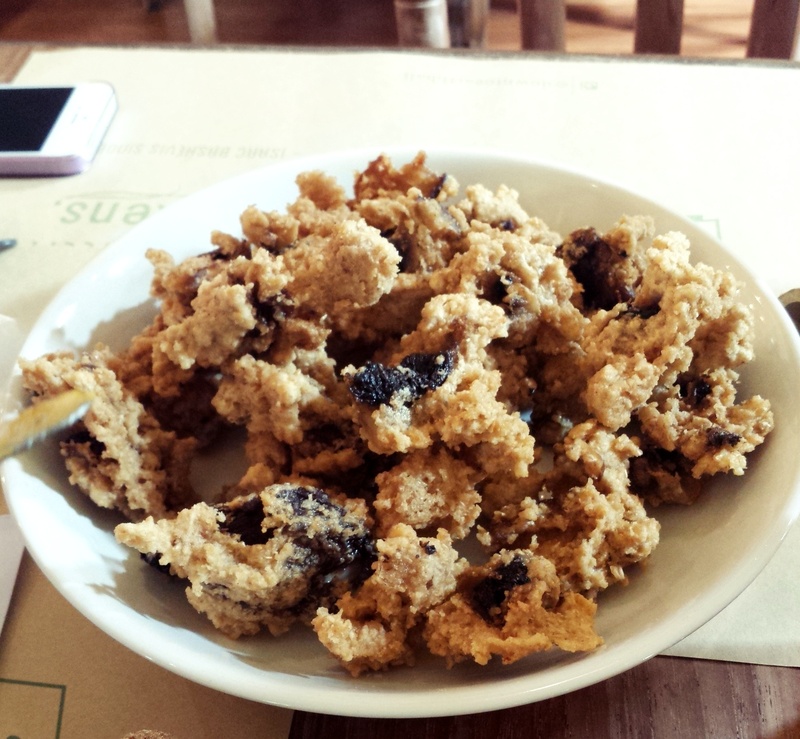 Don’t be deceived by this bowl of chopped stuff- its extremely filling. 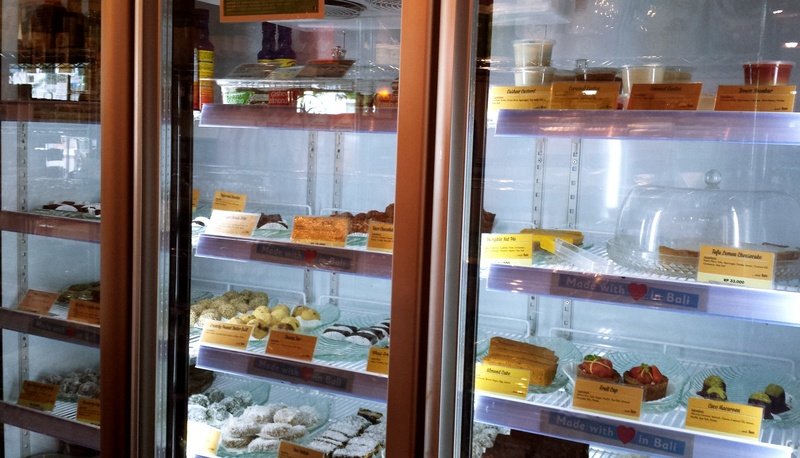 I was in Vegan and raw dessert heaven!!! 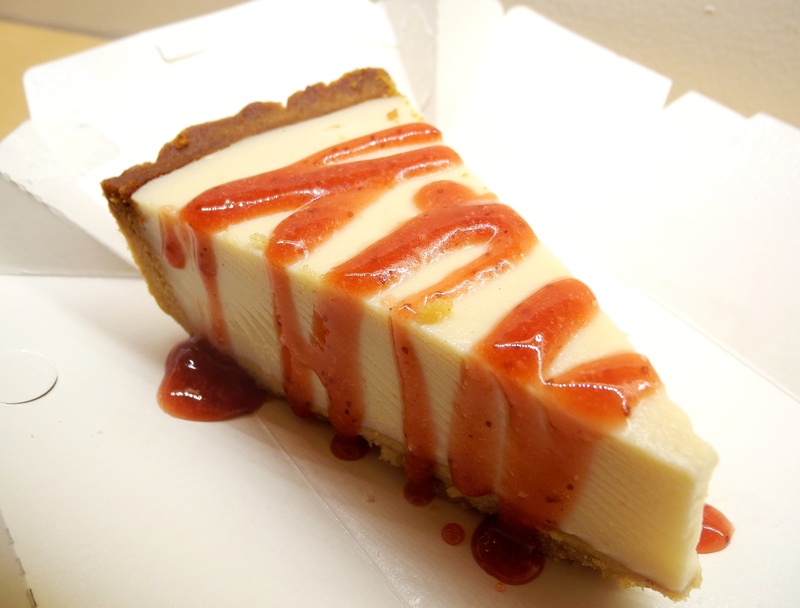 WEEE after standing and choosing for like…forever… i finally decided on a tofu cheesecake which DID NOT DISAPPOINT.!!! 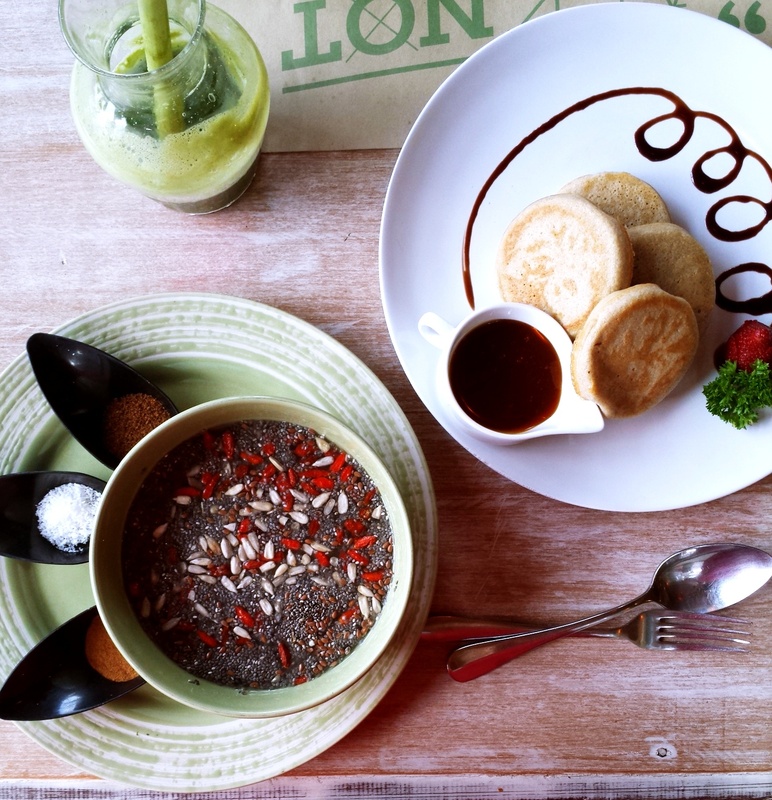 Shall blog about a few more vegan places I visited in Bali in the next post. 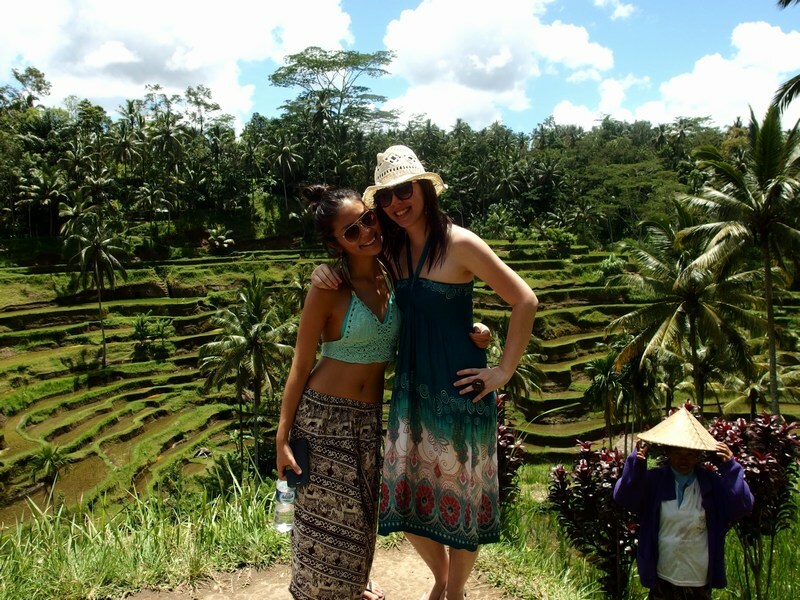 Can’t wait to visit Bali again….Till then!! I ❤ Green Smoothies and today’s post is dedicated to this favourite drink of mine! A green smoothie is basically a smoothie blend of both fruits and green vegetables. It’s healthy, delicious and makes a great meal substitute! Just like how there are caffeine addicts out there, I’ve coined myself a Green smoothie addict because if I don’t have my fix for 2 straight days.. I feel really weird! I’ve been bring my green smoothies to work daily and my new colleagues have been fascinated with the large green jar on my table. Just the other day, I was having a discussion with an interested co-worker about green smoothies and thought it would be a great idea to share what I know here too. Why do I love Green Smoothies so much? It gives me a burst of energy to kick start my day. And probably the most palatable way to consume large amounts of vegetables. If you’re sold, lets start! I’ve racked my brains to remember all the questions I’ve ever got asked about Green Smoothies and I hope this FAQ I’ve come up with is comprehensive enough. If not, feel free to leave a question in the comments section and I’ll try my best to answer you! 1)Is Juicing the same as Blending? Juicing involved extracting the juice and water of the fruit/vegetable while discarding the fibrous pulp. Juices are easily digestible since your body doesn’t need to work process the fibre and are extremely high in nutrients. Try to opt for green juices or juices that mix fruits and vegetables because fruit juices are quite high in sugar and can spike your blood sugar level. Unlike juicing, blending contains the whole fruit and vegetable including the fibre. The blending process breaks down the fibre making the drink more digestible and gives an even release of nutrients into the blood stream. Because of the fibre, blended drinks tend to make you full longer. They are also much faster to make! 2)What type of fruits can I use for blending? You can use almost all types of fruits for blending! When necessary, remove the skin, seeds and core of fruits before blending them. 3)What type of liquid can I use for my smoothies? You can use water, non-dairy milk (like almond, cashew, soy, hemp milk), coconut water and fresh fruit juice. 4)What type of vegetables can I use to blend? 5)What equipment do I need? You’ll need a blender, a juicer (not necessary but a plus if you have), a chopping board and a sharp knife. 6)What type of blender do you use? I use a Vitamix and I highly recommend it! Or you can use any high-powered blender as it can break down the fruits and fibre easily. 7)How much smoothie do you drink in a day? 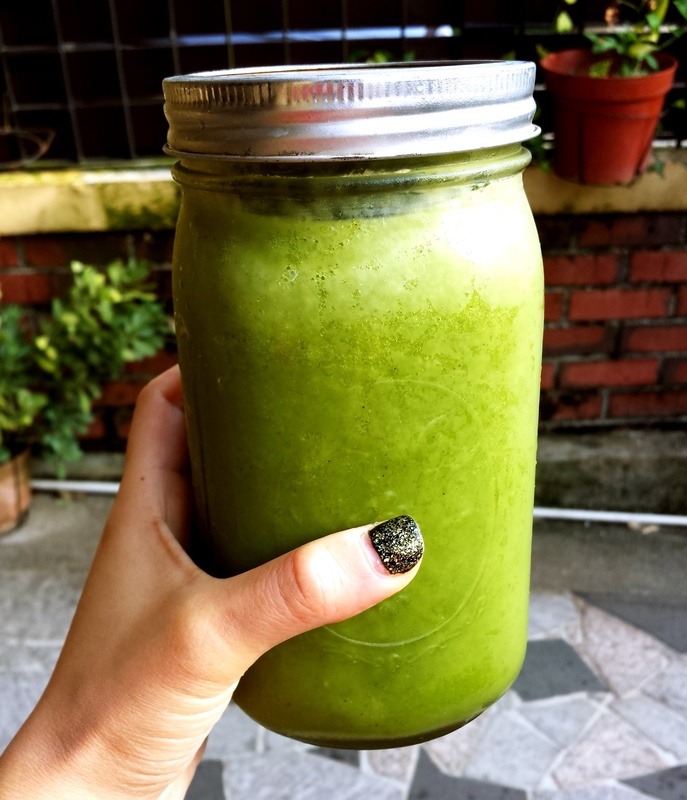 I drink one large green smoothie in the morning …from 1L – 1.5L (or 50oz). 8)How are you able to drink so much liquid?! Initially I couldn’t drink so much at one go and it took a bit of time to get used to drinking so such a large amount. Start with one large cup and increase and decrease the amount you drink each day as your body gets used to it. 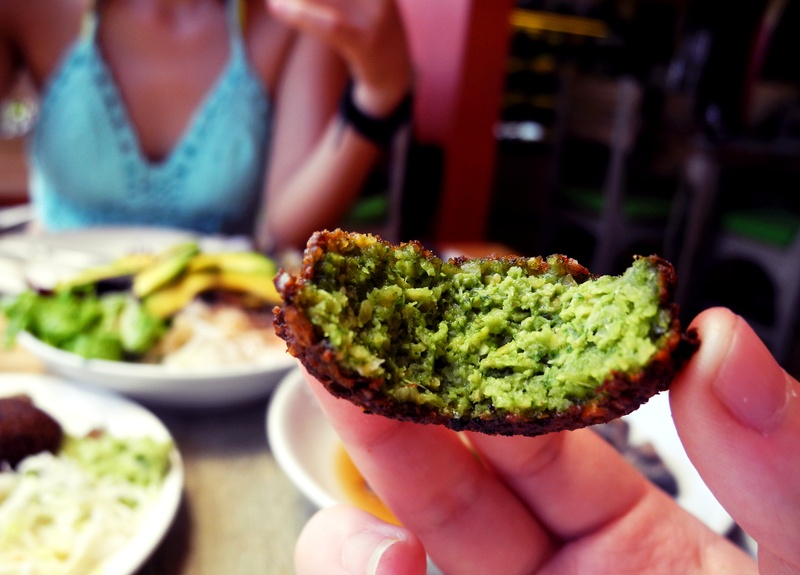 9)Is having a green smoothie as a meal filling? It totally is! A typical smoothie keeps me full for around 3hours. Even longer when I use heavier ingredients like bananas and dates. Plus it gives me a huge boost of energy to kick off the day. 10)Can you taste the vegetables? Probably the most common question I get asked all the time. 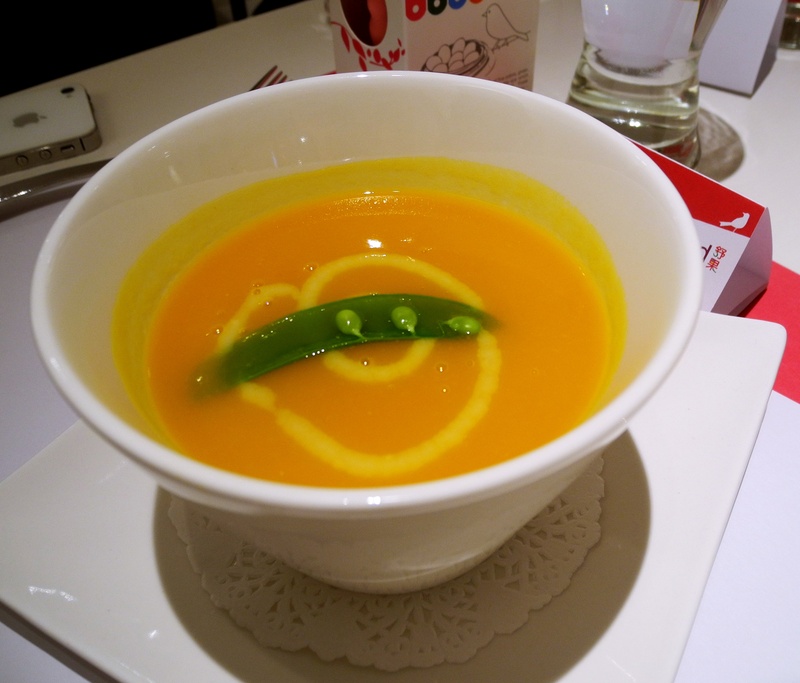 And no, I hardly taste the vegetables because the sweetness and flavours of the other ingredients balance it out! It is honestly the most palatable way to consume your vegetables! But do take note that the type of vegetables you use will affect how your smoothie tastes (see Q4 above). 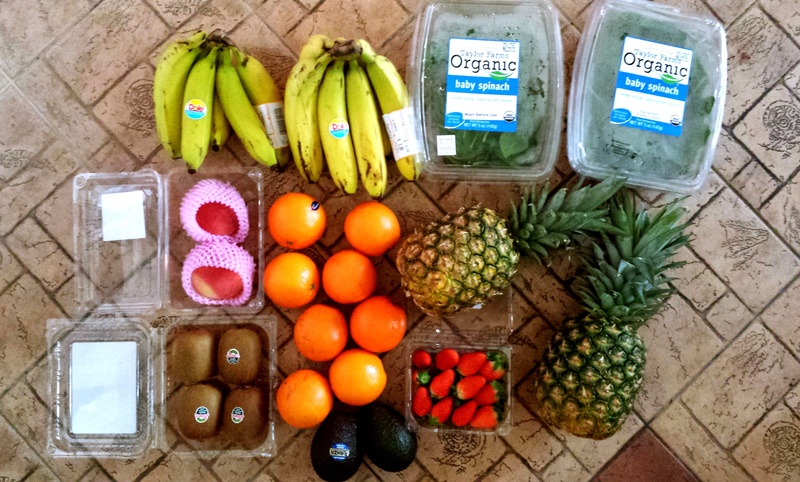 11) How much fruits and veggies do you buy a week and is it costly? Total cost: $35.10 or around $5 per day for a 1.5 large green smoothie. That’s really affordable as compared to the 400ml-500ml smoothies you buy in town that costs around $6.80. Plus I’m pretty sure those don’t contain as many fresh ingredients. So as much as possible, blend at home if you can. It’s easy and helps you save money! I always start off with a base and then add complimentary fruits and vegetables. Use fruits that give volume and are sweet- like banana and manago. 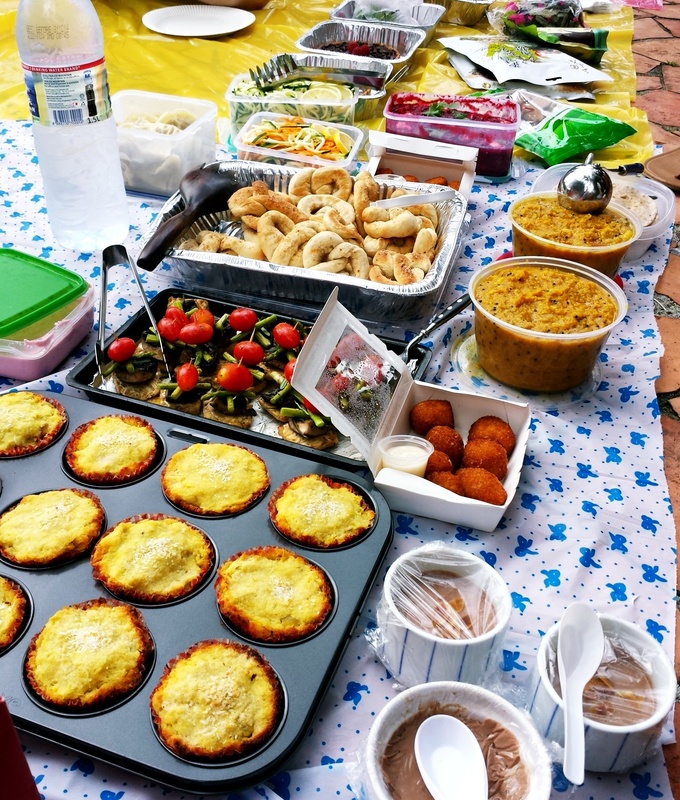 Add 2 – 3 fruits that go well with your base fruit and end off with some vegetables. 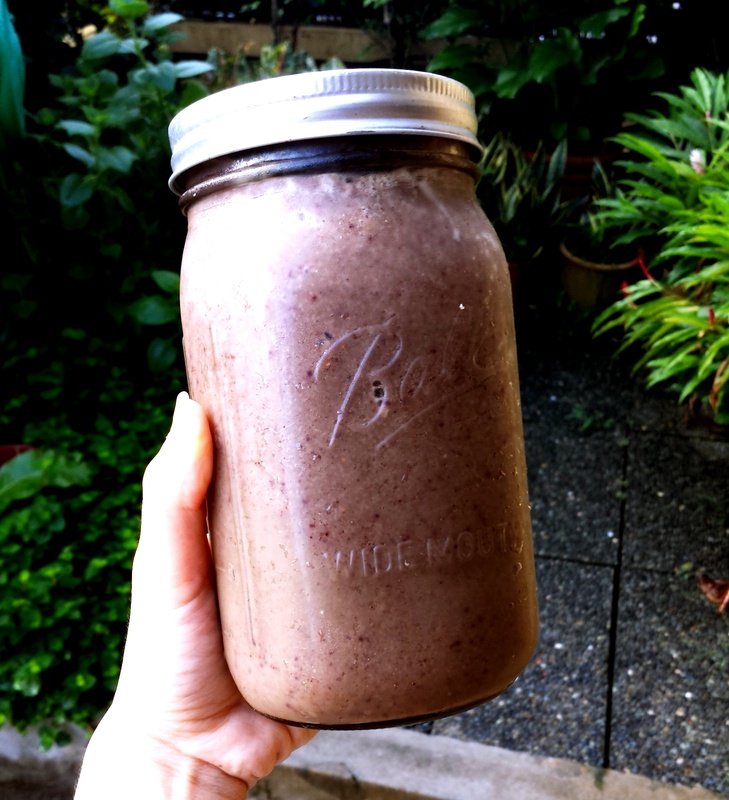 13) How do you find time to blend your smoothies in the morning? Another question I get asked all the time! People assume I’m really hardworking and get up really early to prepare my smoothie, but the truth is, it only takes me 10 min or less to prepare my smoothies every morning! 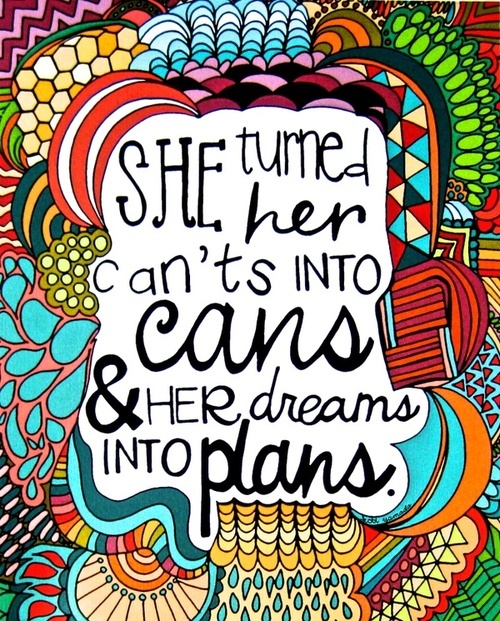 The trick is to plan plan and plan. 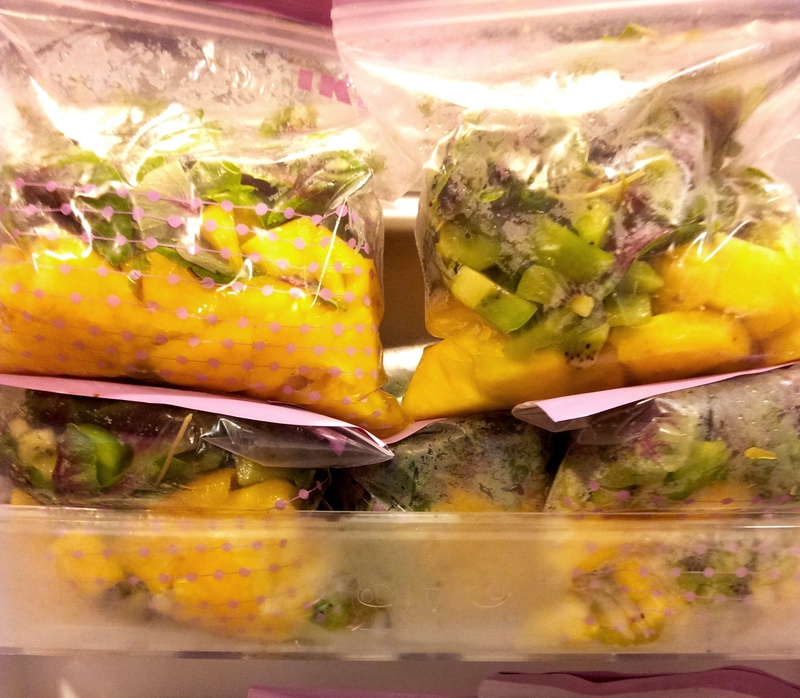 I like to buy a whole ton of different fruits (not vegetables) and pre-pack them in advance. I portion them into servings for each day and pack them in zip lock bags. I then store them in the freezer. So each morning, I simply take out one packet of pre-pack smoothie and pop it in the blender together with my desired amount of vegetables and water and let the magic begin. *if you’re not using a high-speed blender, it may be hard to blend frozen fruit. So I would suggest setting it out to thaw before you blend it. 14) What do you store your green smoothies in? I try to drink my smoothies immediately after I blend (that’s the best!). But when I bring them to work or have them on the go, I store them in mason jars. 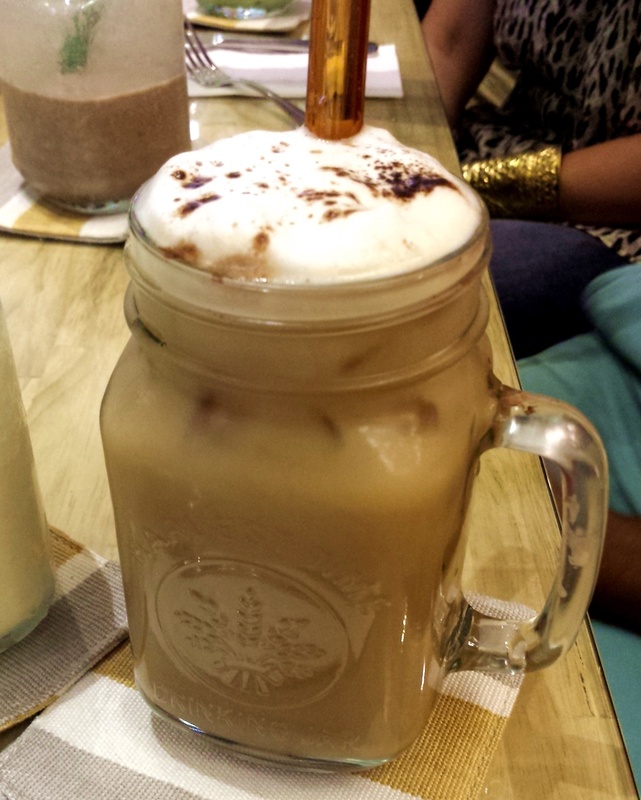 For where to find Mason jars in Singapore, click here. 15) Why aren’t my green smoothies green? Surprise surprise, most green smoothies are, (ironically), not green! It all depends on the combination of fruits and vegetables you use in your smoothies. For eg, if you use blueberries in your smoothies, depending on the amount, it could turn the smoothie a beautiful rich purple or a very murky brown. However don’t worry about the colour, non-green looking smoothies taste just as good! 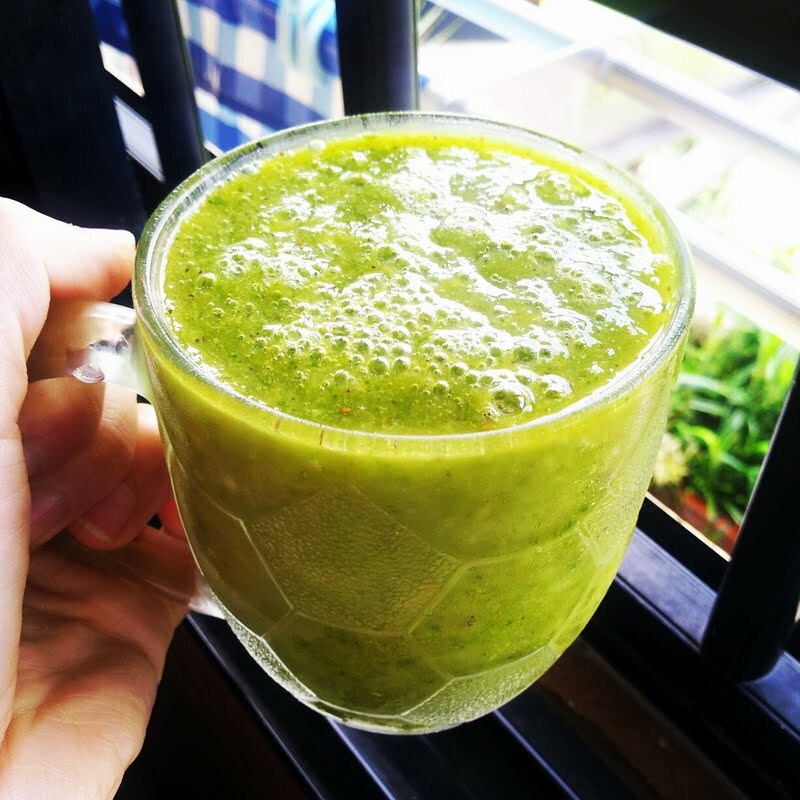 One trick to guarantee that your smoothies turn out green is to combine white to yellow tone fruits with the vegetables (eg, pineapples, mangoes, peaches etc). 16) What else can I add in my smoothies to increase the nutritional content? The following recipes make 1 – 1.5 L of green smoothies, reduce the amount of fruit and water if you don’t want such a large amount. Add 1 – 2 cups of spinach and 1- 2 cups of water depending on your desired consistency. * Start with a small amount of liquid and add more till you find the consistency you desire. * Similarly, if you’re ensure of the taste, start off with 1 cup of vegetables first, and add more if you find it palatable enough. 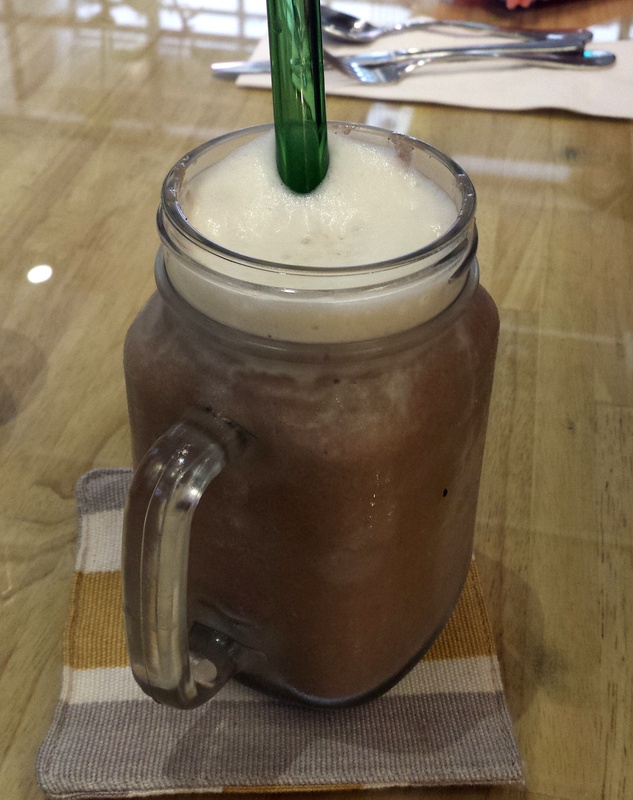 Once you’ve mastered the basic smoothie, get creative and use different types of liquid, fruits and vegetables! My last piece of advice to you would be to HAVE FUN and don’t be afraid to try! Haven’t had much time to cook new stuff this month, hence the lack of recipe posts. Have been having more or less the same type breakfast/lunch/dinner on weekdays and then eating out on weekends. Hoping to start making new stuff soon. 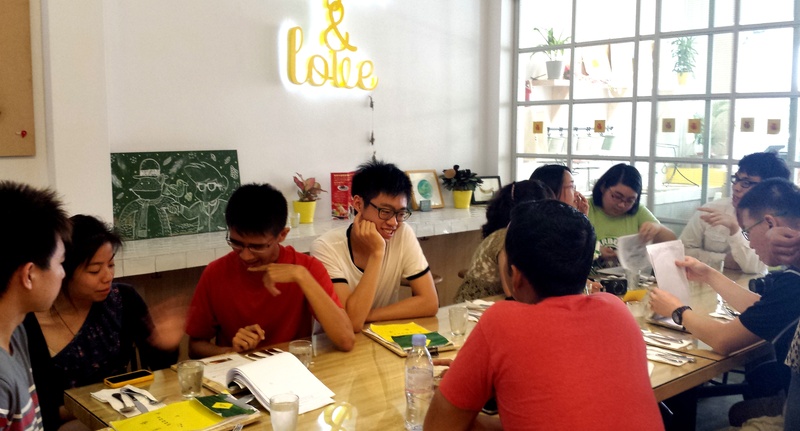 Meanwhile, I’m really excited to share about the new Loving Hut @ Joo Chiat that opened recently. (YESSS finally something in the EAST! Sorry westsiders, but you have Star Vista !) 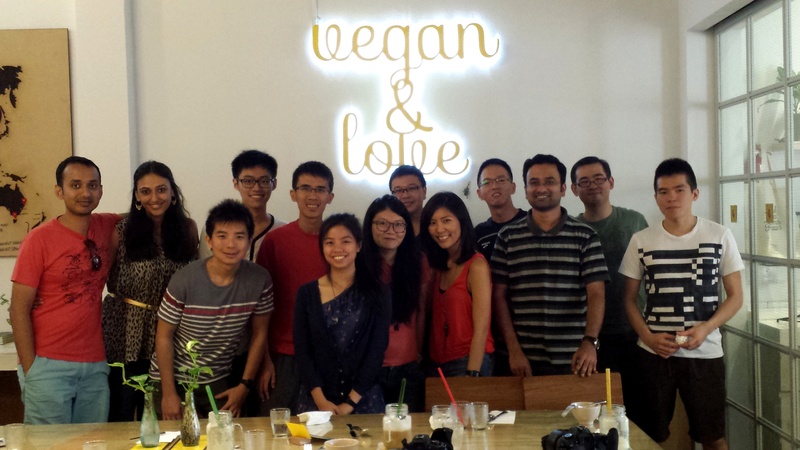 I’ve always felt that Singapore lacked vegan cafes…most of the vegan/vegetarian places here are either restaurants or hawker stalls. 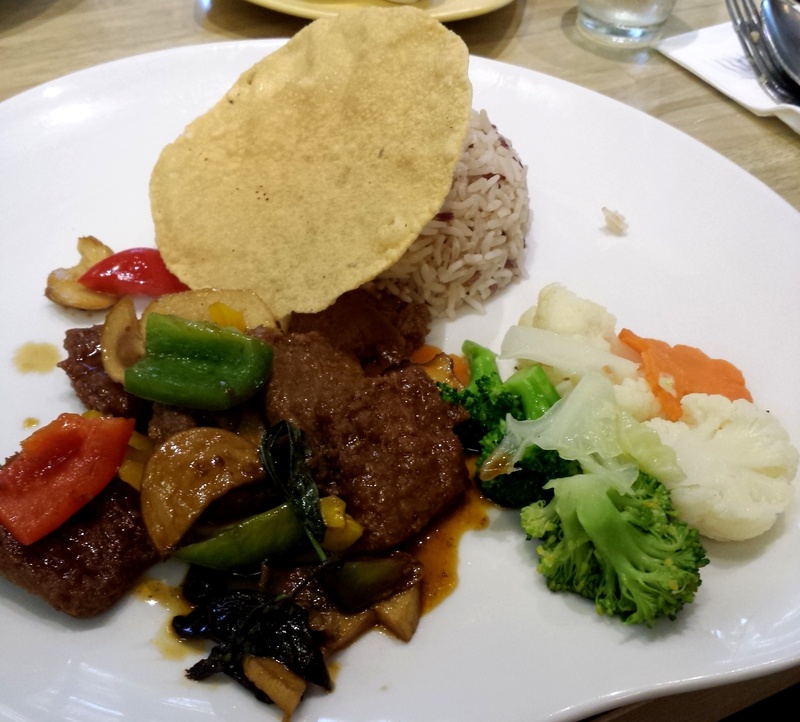 But I’m so glad that this trend is taking on – first with the Living Cafe, Real Foods..and now Loving Hut! Definitely something to appeal to younger generation. 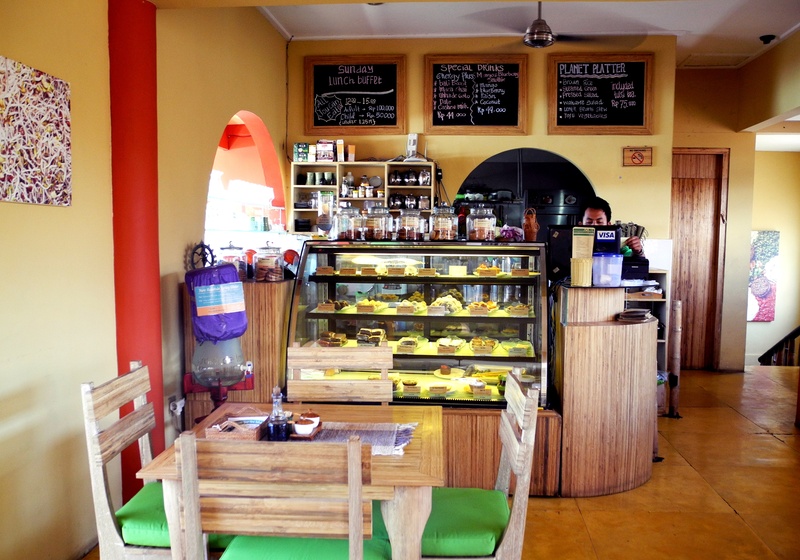 Interior – Loving the ambience so it deserves a whole paragraph on its own! 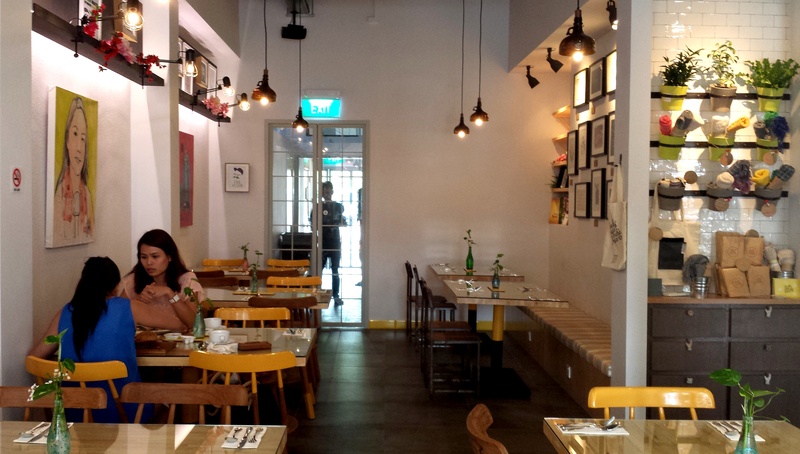 The interior is bright, modern and I think Singaporeans who are into the “cafe-hype” craze will love it. 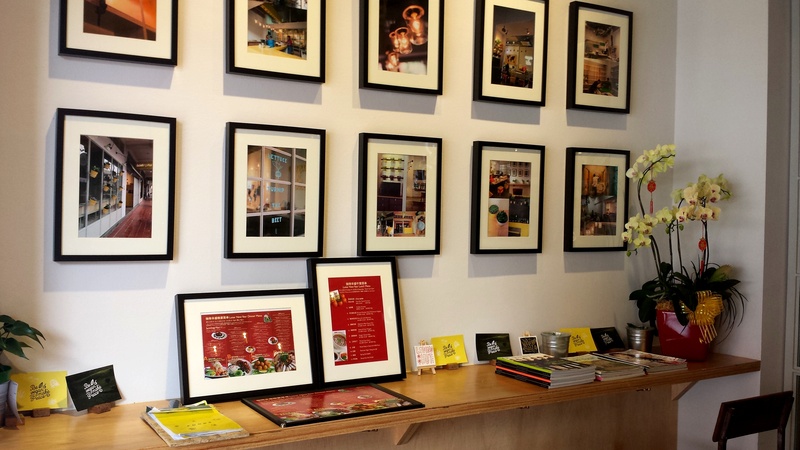 Plus, its located in the very indie Joo Chiat! 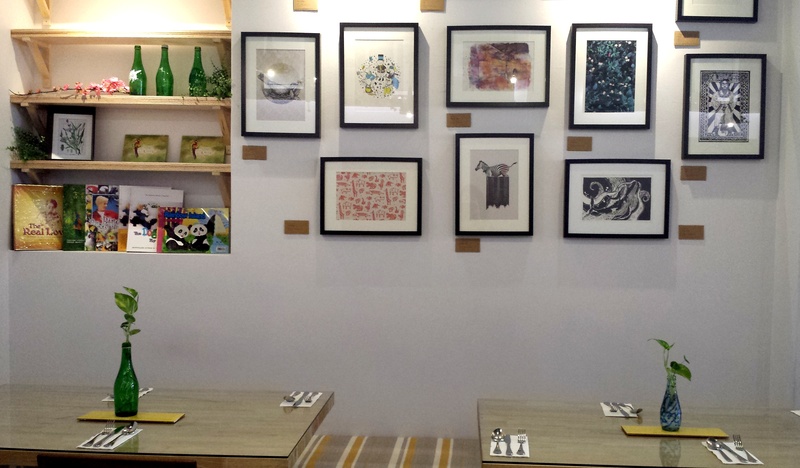 Colourful paintings relating to veganism are hung/placed around the cafe, sprinking colour and youthful vibes everywhere. 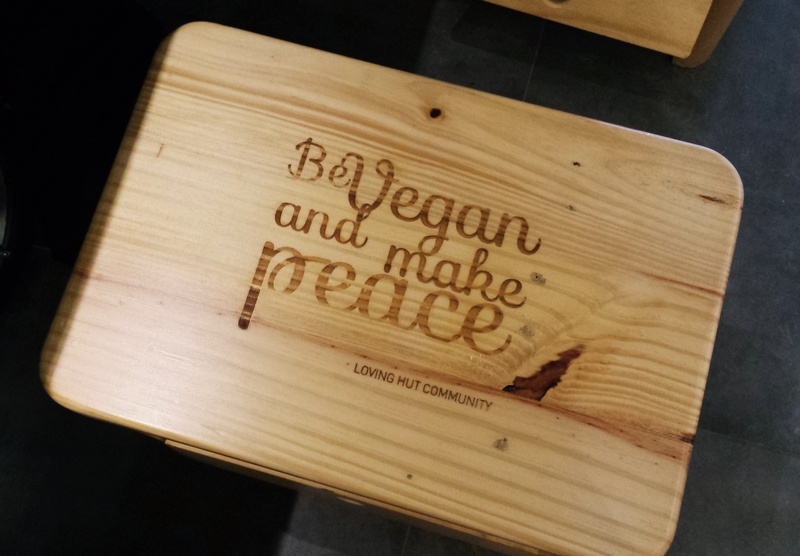 Cute slogans like “Make Peace, Go Vegan” can be found on coasters, postcards, cloth bags, walls and even on thier furniture! 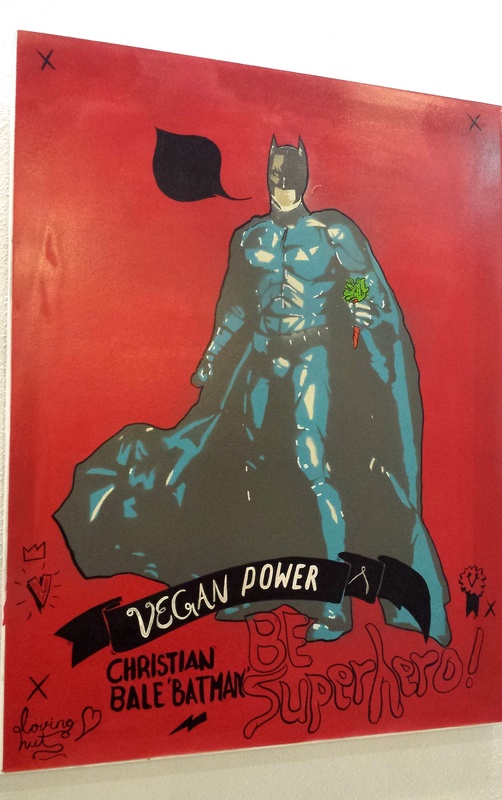 There’s even a panel against the wall that sells vegan snacks and environmentally friendly kitchen accessories. Lets start with the drinks. 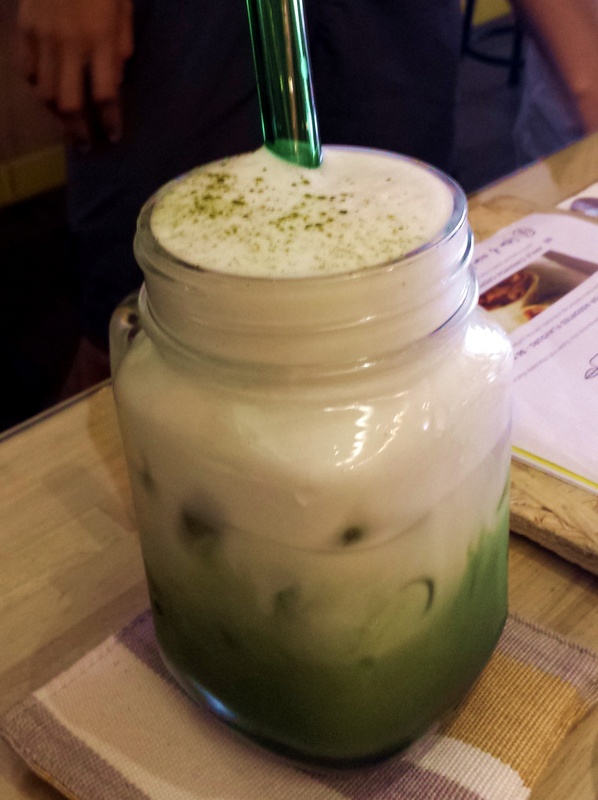 Hands down, my favourite was the Morning Glory drink which I ordered – made using vegan yogurt! 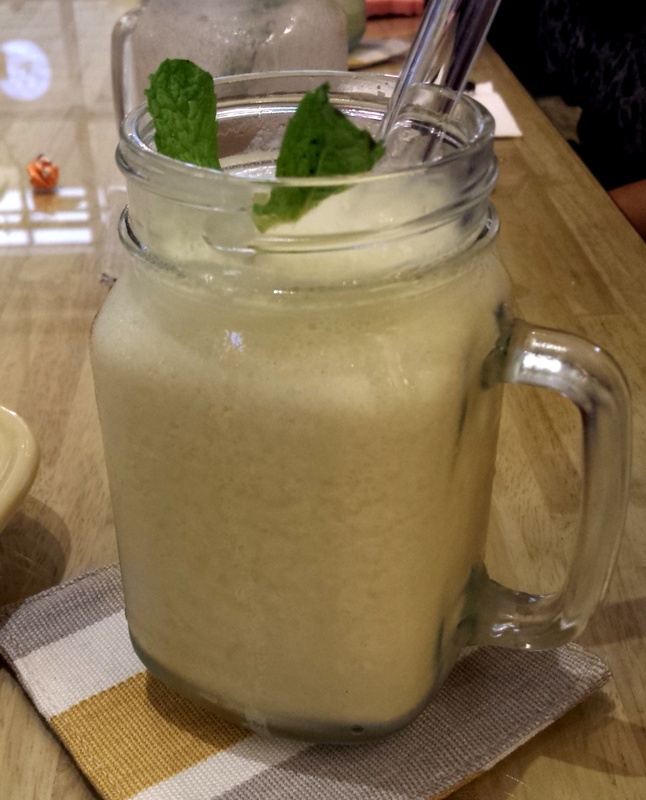 It tasted a bit like yakult with a slight zest and minty flavour. Thumbs up! Most of us ordered the western dishes, so there were lots of burgers and fries on the table. 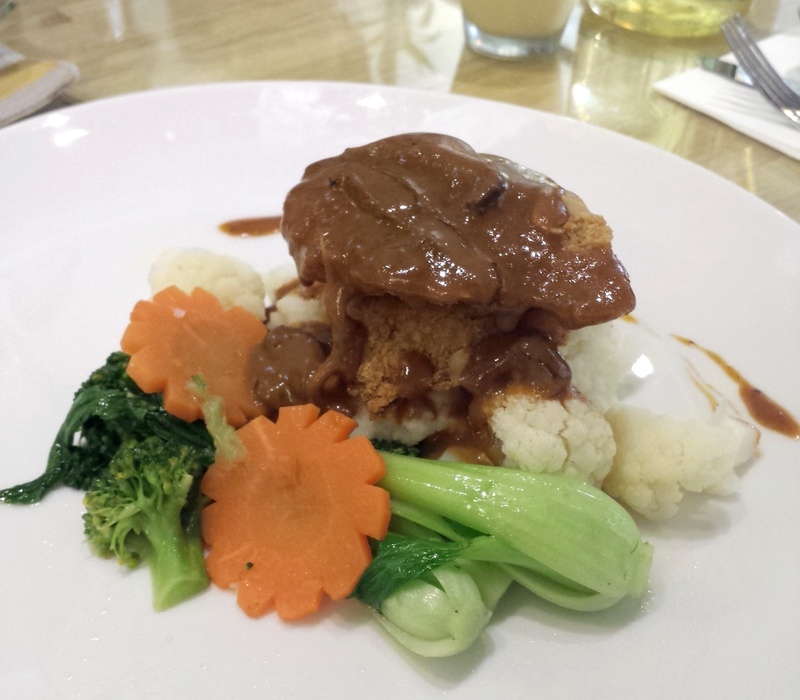 The price for a main is around $13 – $17, similar to what you pay at normal cafes. Portions were a little small, I think a few of the guys mentioned they could eat another burger. I also understand that normally they also have sweet potato fries but sadly, it wasn’t available that day. 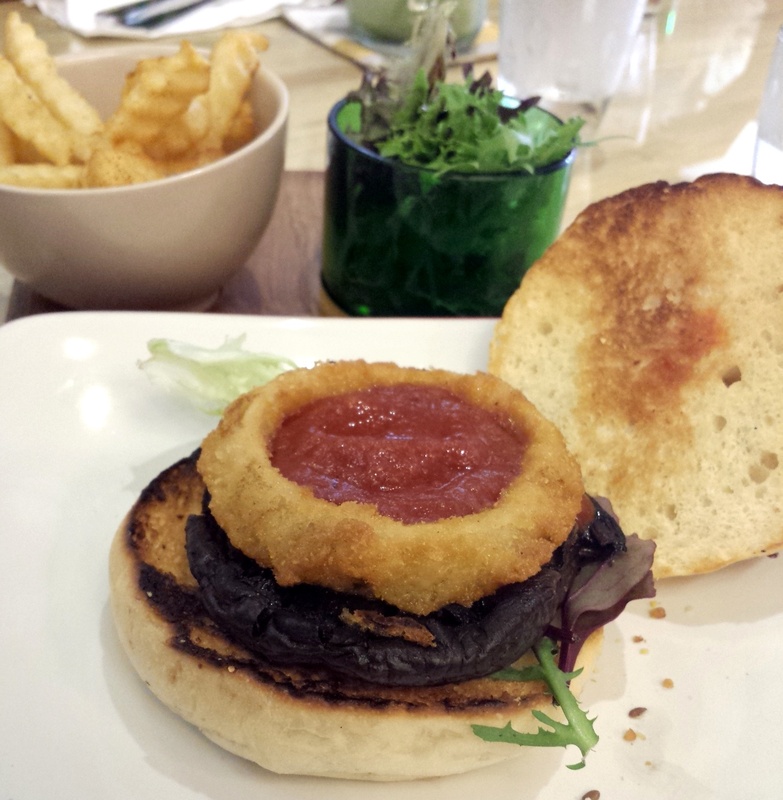 My dish of the Papa’s Porobello Burger – with a huge portobello inside! Quite tasty and i’m so glad it wasn’t a minced patty. 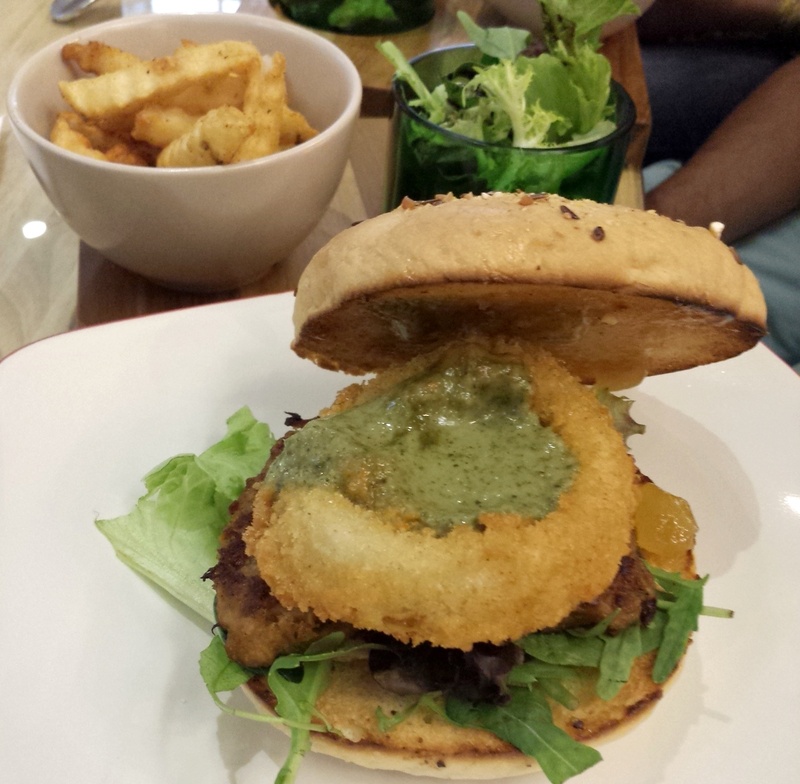 Almond Crumb Fillet – this was good too! Sadly all the desserts were sold out too…my heart actually sank a little as I watched the last plate of Bread and Butter Pudding being served to the next table because it looked freaking good! Well, more reasons to go back next time. 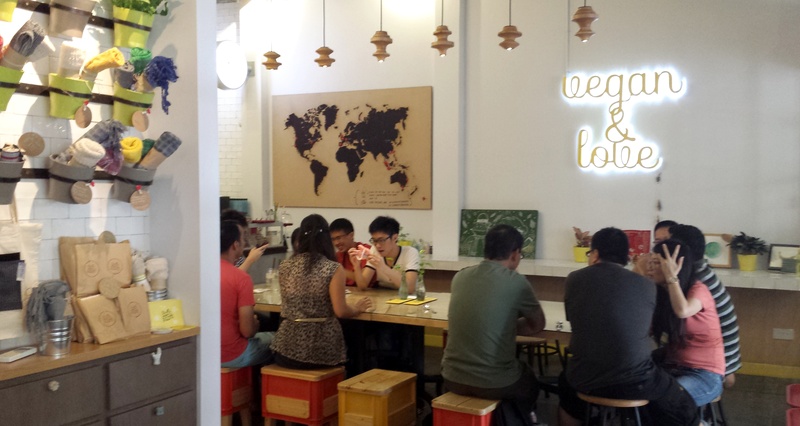 I think that Loving Hut’s new branch has set a new standard for vegan eateries in Singapore. 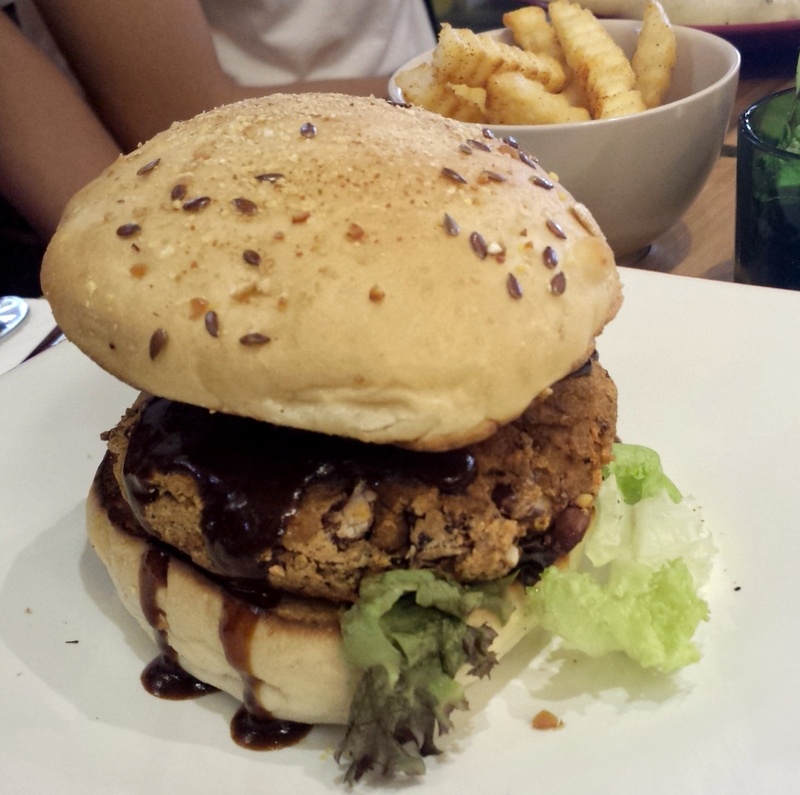 Its modern cafe-styled concept and western menu will definitely appeal to both vegans and non vegans. 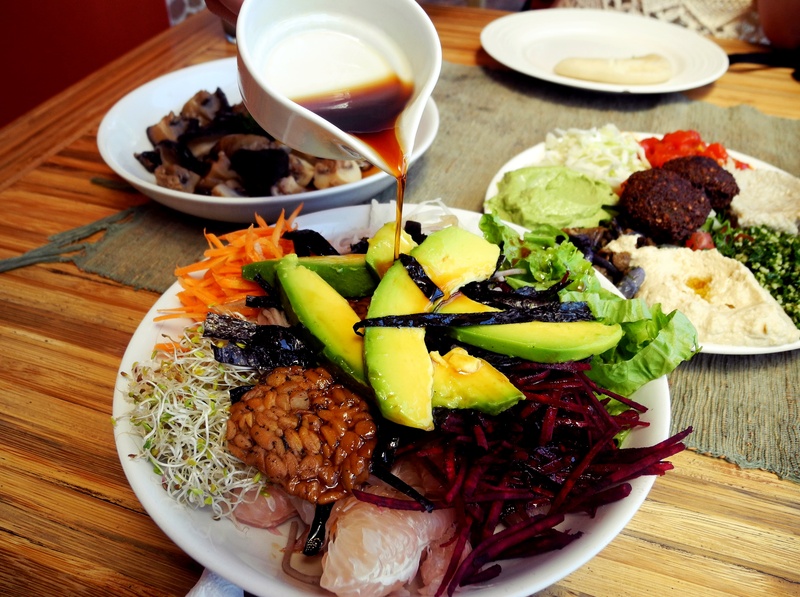 It is redefining the perception of veganism and vegetarian food in Singapore and introducing veganism in a more fun, casual and relatable approach to the masses. Do check it out and show them some support! 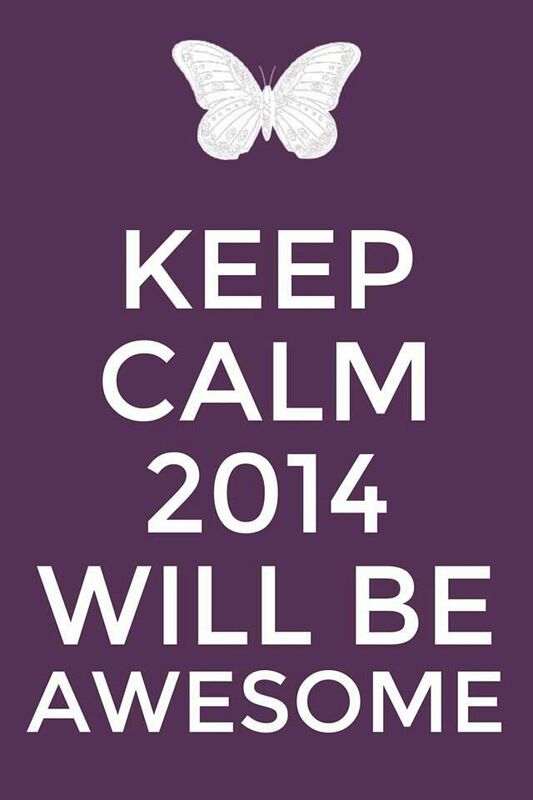 Welcome to a very belated 2014! Today’s post is going to be a personal reflection – but I’ll try to keep it short and sweet. 2013 was such a challenging year but it was nothing short of amazing. I pushed myself to do and try many different things and like the quote says, “life happens at the end of your comfort zone”. I worked in a raw food kitchen, was a raw pastry chef for a while, met so many new vegan/ vegetarian friends at home and abroad, travelled for ¼ of the year, immersed myself in new cultures and flavours, hit over 1,000 likes on instagram, had my first blog sponsor, filmed a feature for a TV programme about raw foods, sold my first raw cake, printed my first name card and witnessed many of my good friends get hitched=) I couldn’t be more grateful for the experiences, memories and lessons learnt in 2013. A big thank you to all my readers too! Sometimes, I’m surprised people actually read my blog haha so you have no idea how much it means to receive lovely emails and encouraging comments. And to also have met some of you in person! Visit my grandparents regularaly . Travel to at least 10 new cities. Learn to dive. Say YES to more things that scare me . Say NO to more things that don’t matter. Continue cooking. Bungee. Parasail. Pick-up spanish. Re-learn the guitar . Give thanks daily. Get my teeth fixed. 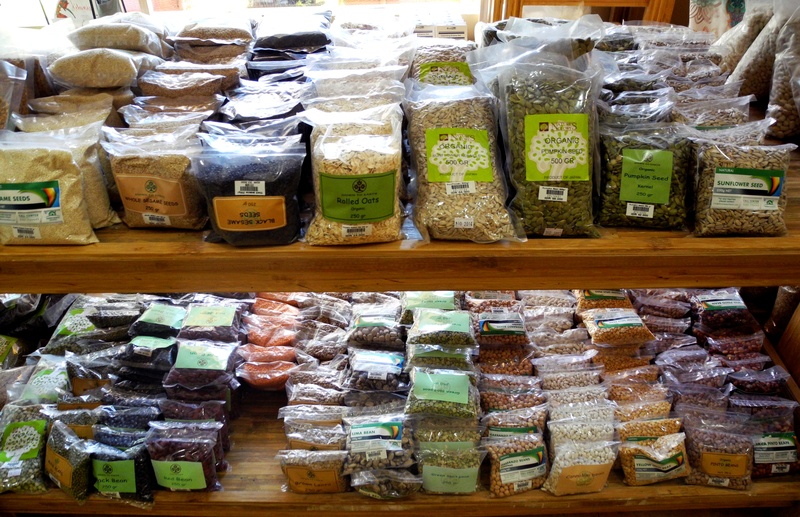 Have my own raw food range. 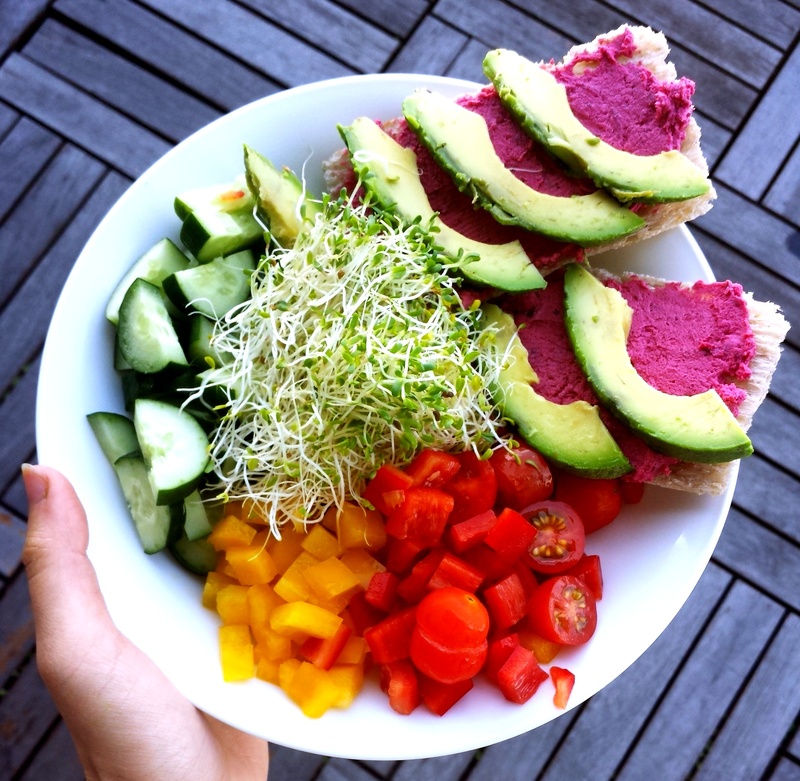 Spread the Raw food love. to finally do a split in yoga class. learn photoshop. volunteer. live overseas. 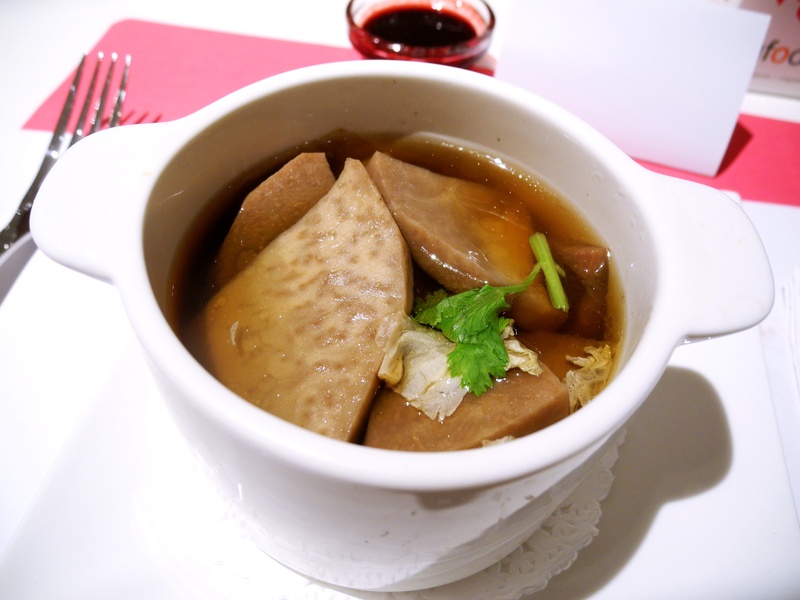 learn to cook vegetarian dishes from my grandma. Read widely. and…BLOG REGULARLY! ps. HAPPY CHINESE NEW YEAR to all fellow chinese peeps! Wanted to share a little about the recent Xmas Vegan Potluck we had (see previous post). Was great catching up with old friends and meeting new friends…also got to meet 2 readers (waves to Gigi and Angela!). Didn’t manage to take much pictures because it was SO HOT, but we had quite the spread! 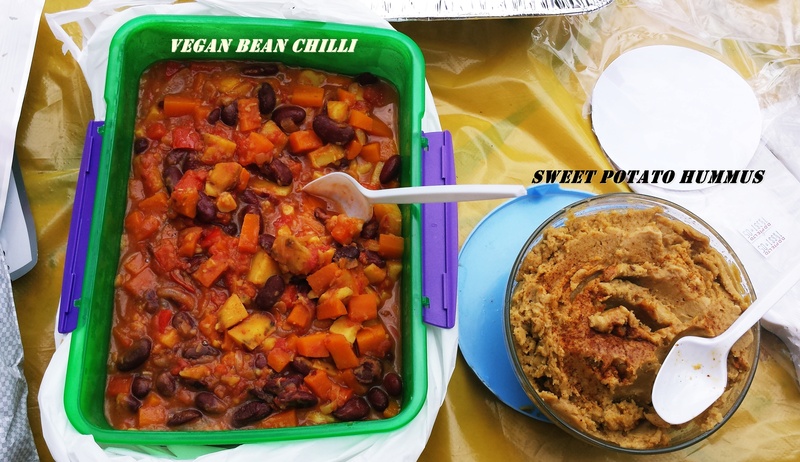 I contributed 2 dishes – Vegan Bean & Sweet Potato Chilli and Sweet Potato Hummus. I love making my own food, but I admit it does get a little bit intimidating cooking for a large group of people because you don’t know if it caters to their taste. 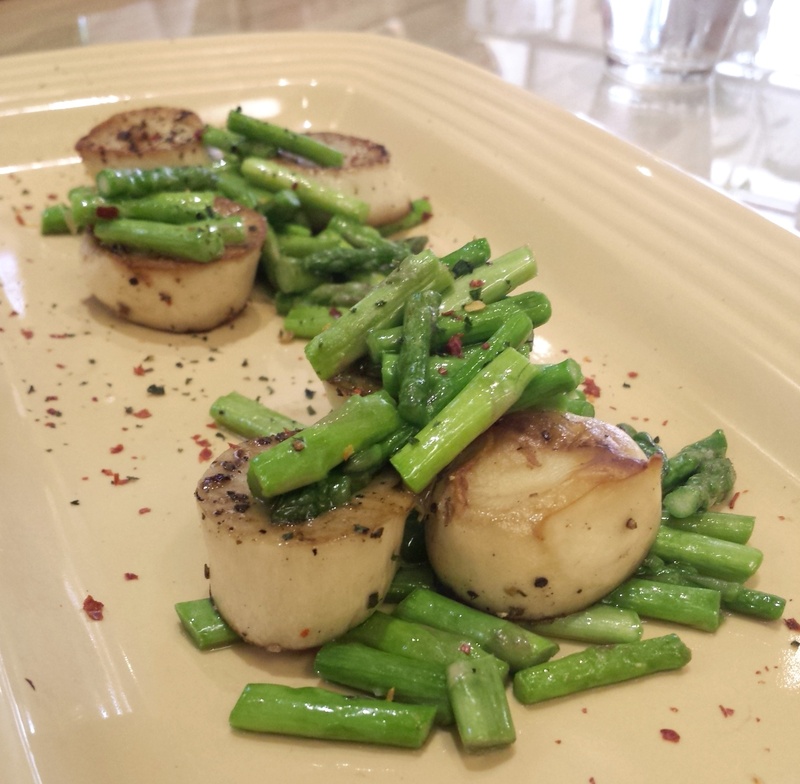 But luckily, both dishes were very well received and I had a few people asking me to post the recipe…so (whew!) and I’m more than happy to share! I can’t claim to have written this recipe. Got it off this link but changed a few measurements along the way. Also made it less spicy! Chop and cube sweet potatoes, carrots and bell pepper. Sautee onions and garlic in olive oil for a minute or two, then add sweet potatoes, carrots and bell pepper until onions are soft, about 5-6 minutes. In a separate pot, add remaining ingredients and bring to a low boil. Add the sautéed vegetables and bring to heat to medium low. Simmer, partially covered and stirring occasionally, for 20-25 minutes, until flavors have mingled and vegetables are cooked. Taste and add more spices if you want more heat. This hummus is quite thick and can be a little dry. But its very close to the texture of traditional hummus. If its too thick for you, feel free to add more olive oil or save a little of the chickpea liquid to add in. 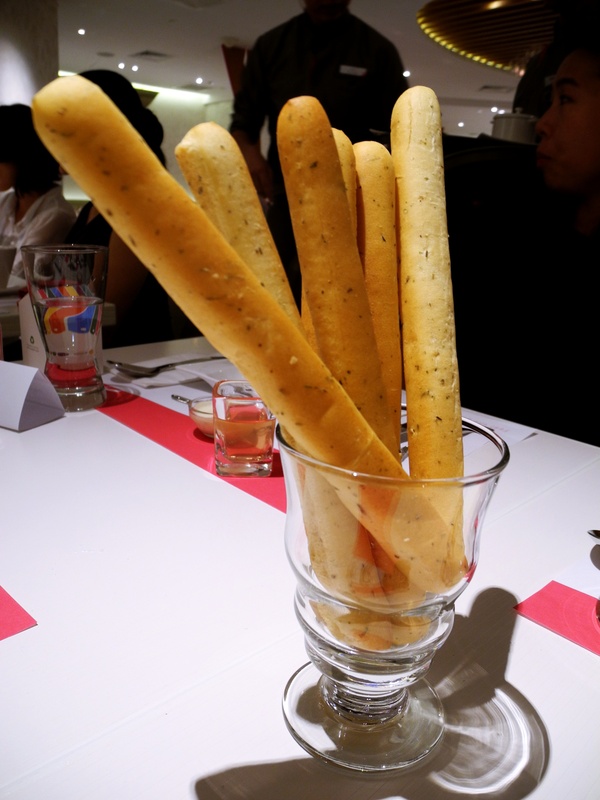 Add more olive oil and paparika when you serve…enjoy! Sorry I haven’t been posting much recently! Been settling into my new job and getting used to the 9 – 5 lifestyle …so not much action in the kitchen. But i promise I’ll be back with more posts once I’m more settled in! 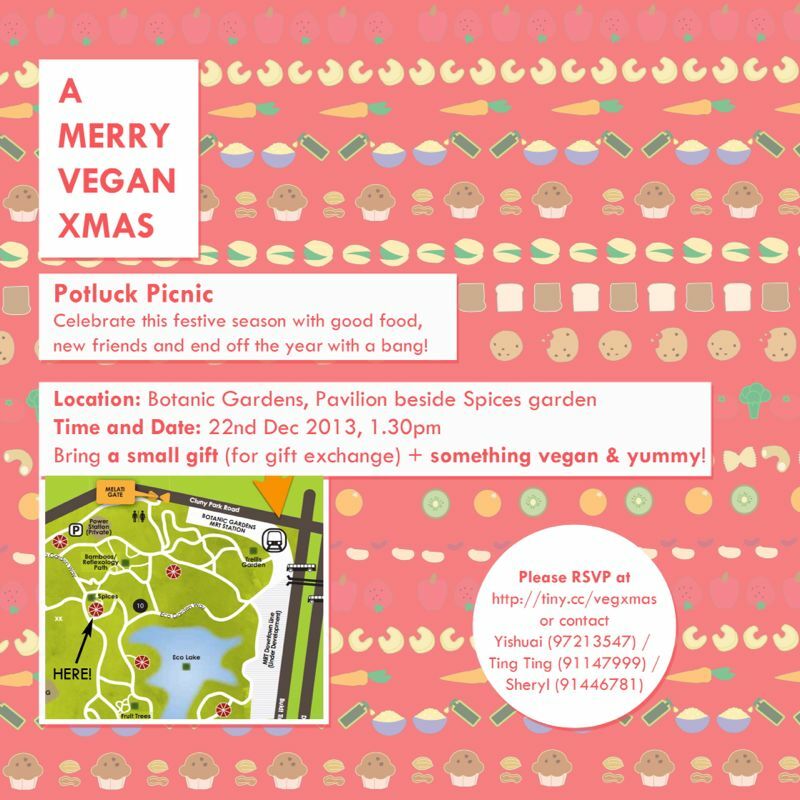 Anyway, am excited to share about an upcoming event – a VEGAN XMAS PARTY! Will be hosting it together with fellow vegans Yi Shuai and Ting Ting so do join us! So sign up at this link or drop either of us a text/comment and we’ll see you there! > PPs/ We’ll be having a small gift exchange, so just bring along a small gift. Doesn’t need to be expensive please! 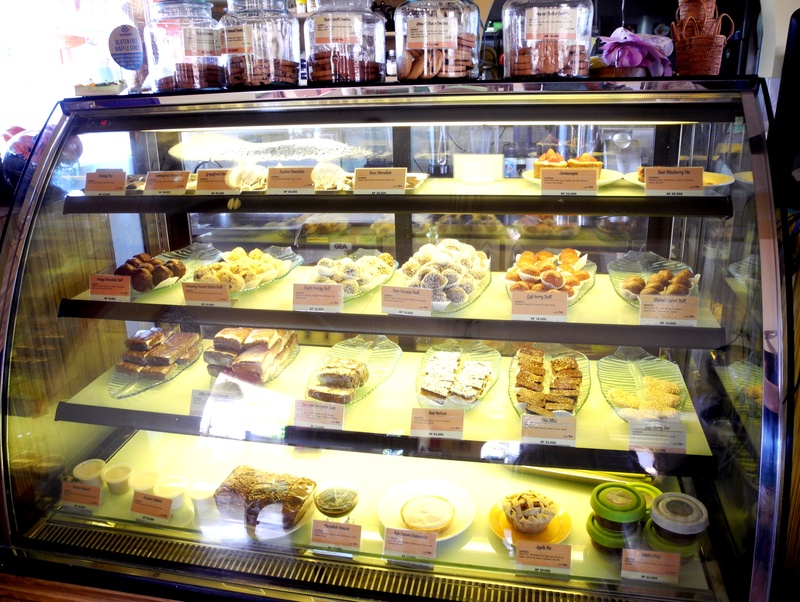 Dreamer, globetrotter and health food junkie from sunny Singapore. 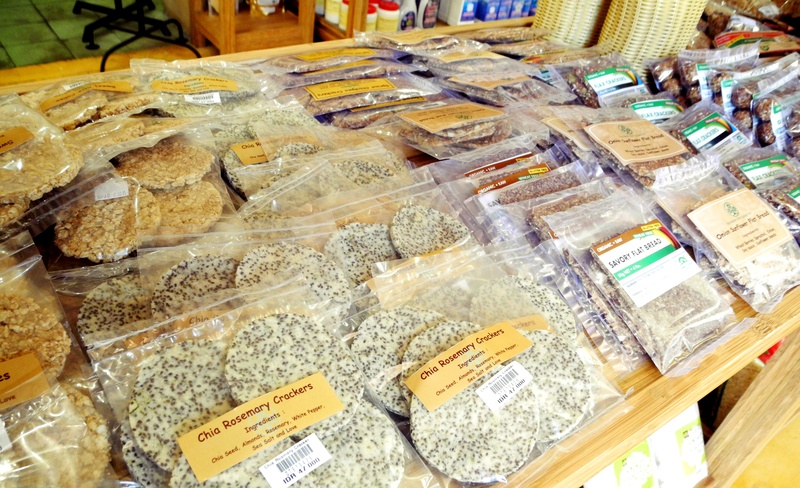 I blog about my raw foods & vegan journey here. Follow me on Instagram @shihngin for daily foodie pics! 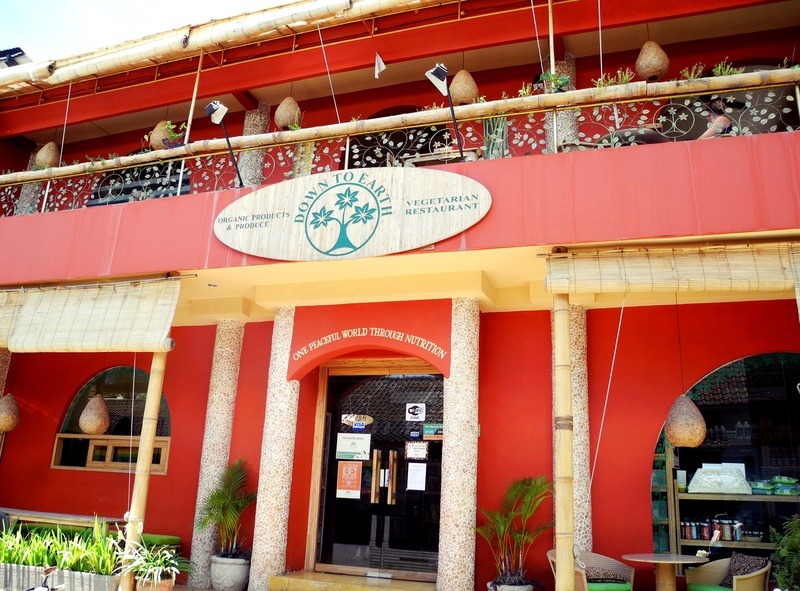 Our quest to be the change in the world by going green!